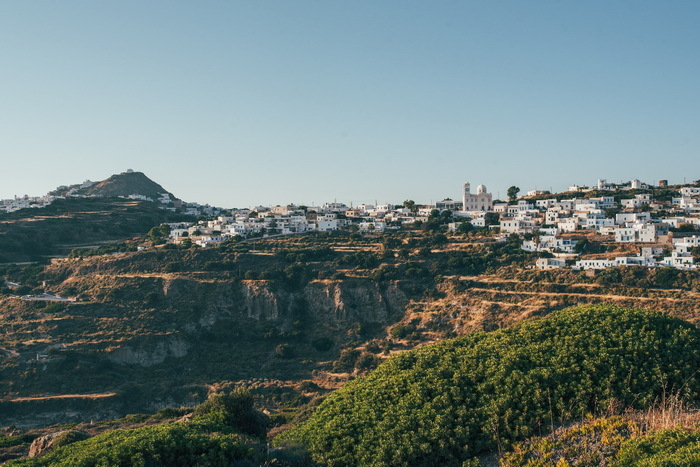 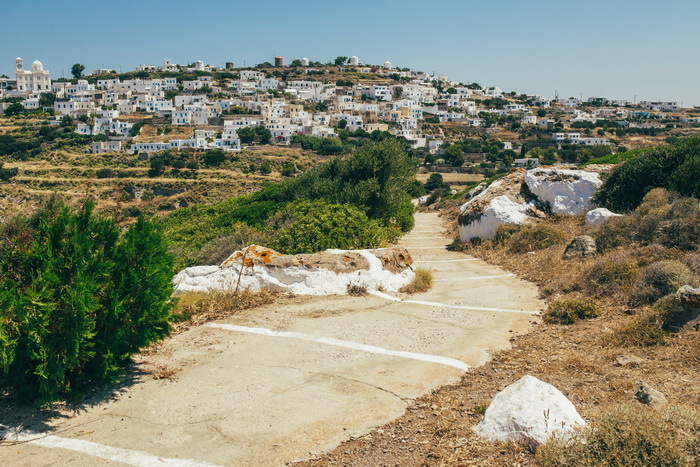 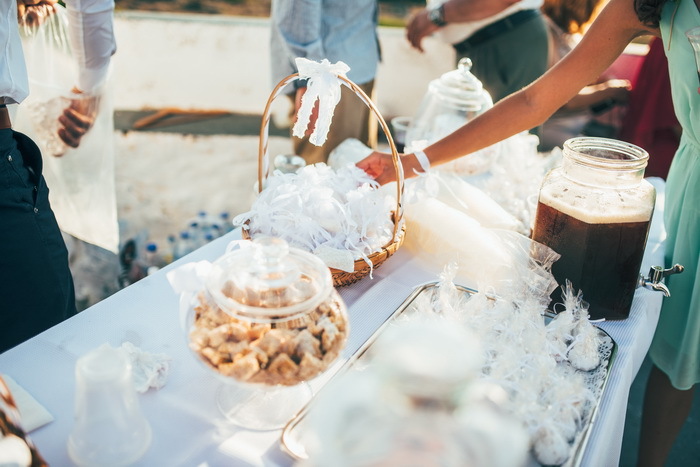 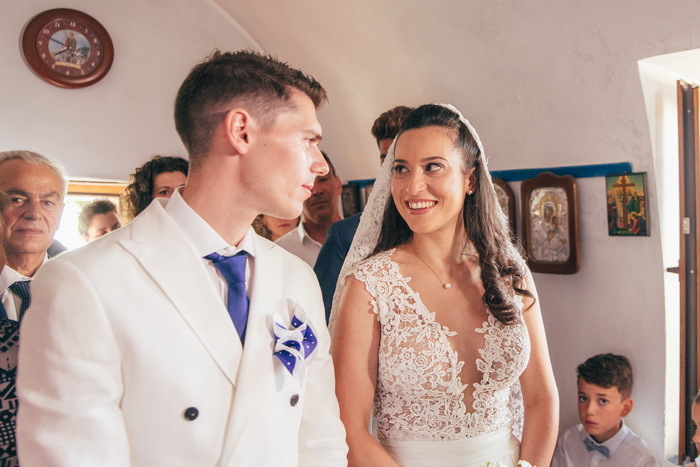 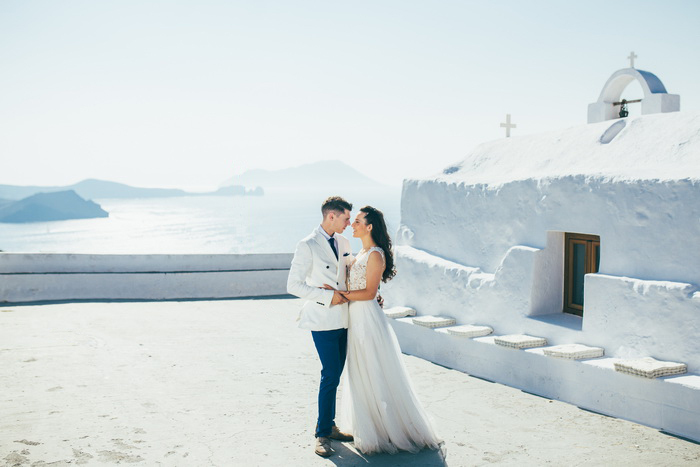 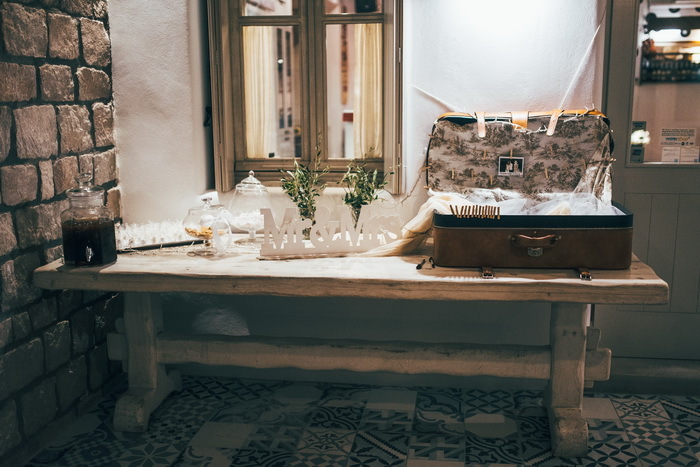 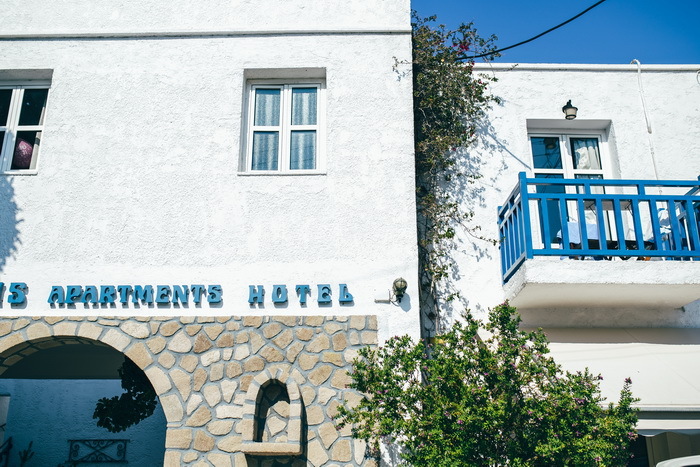 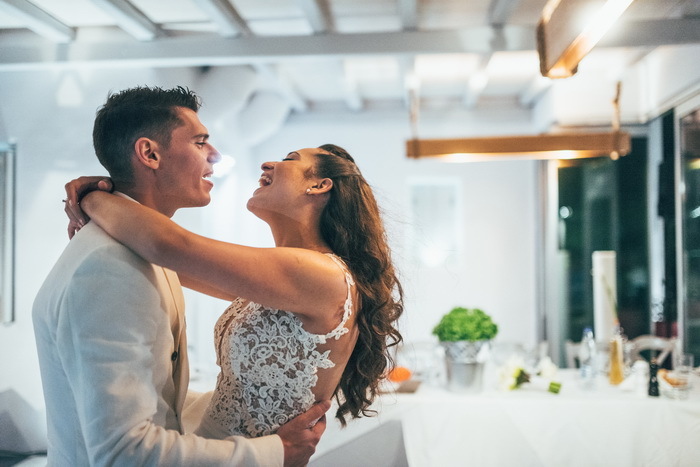 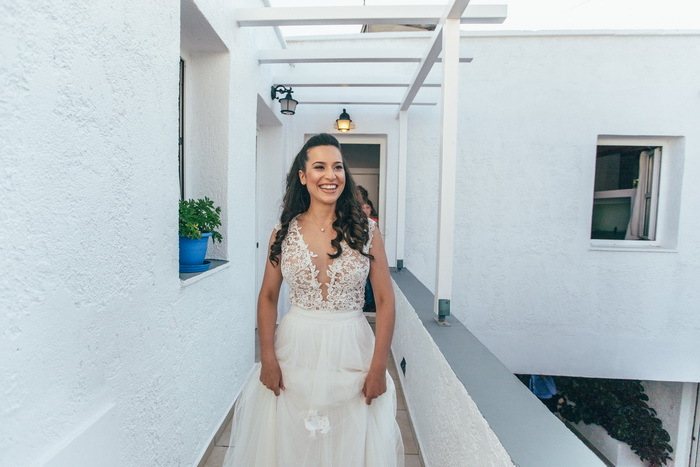 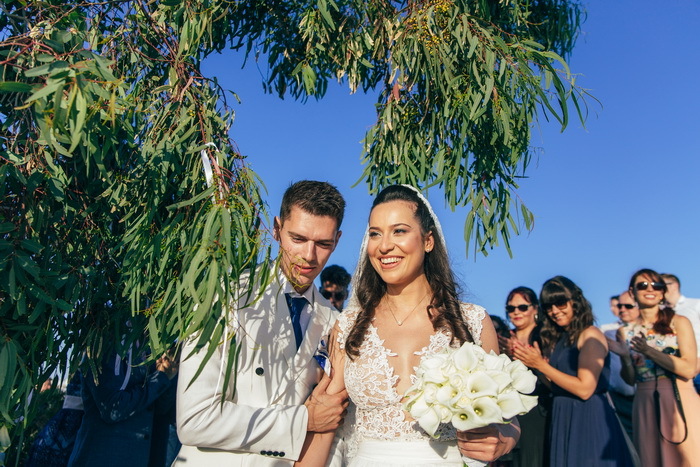 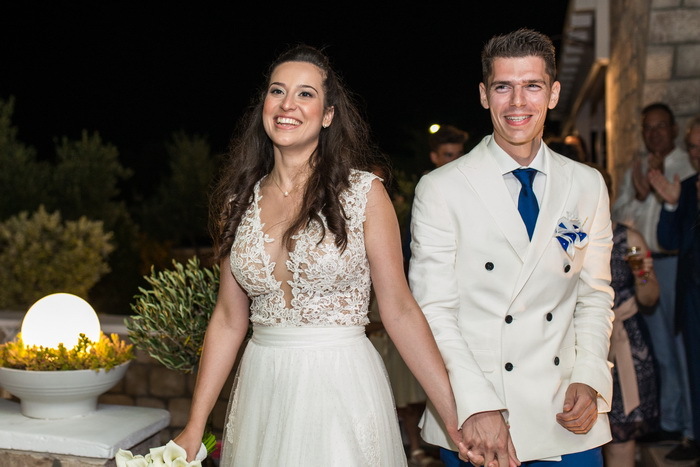 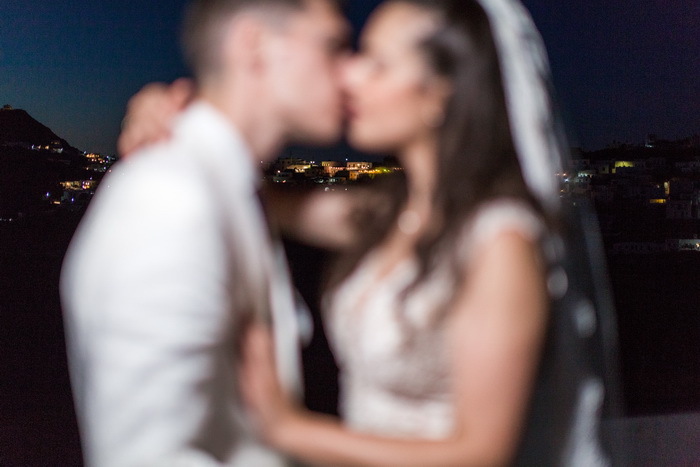 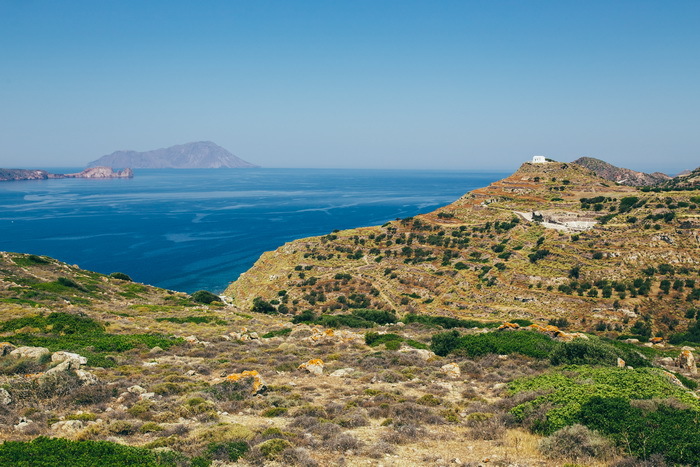 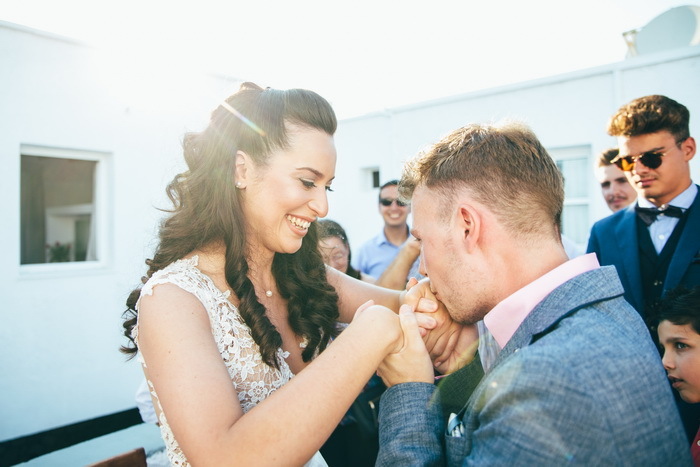 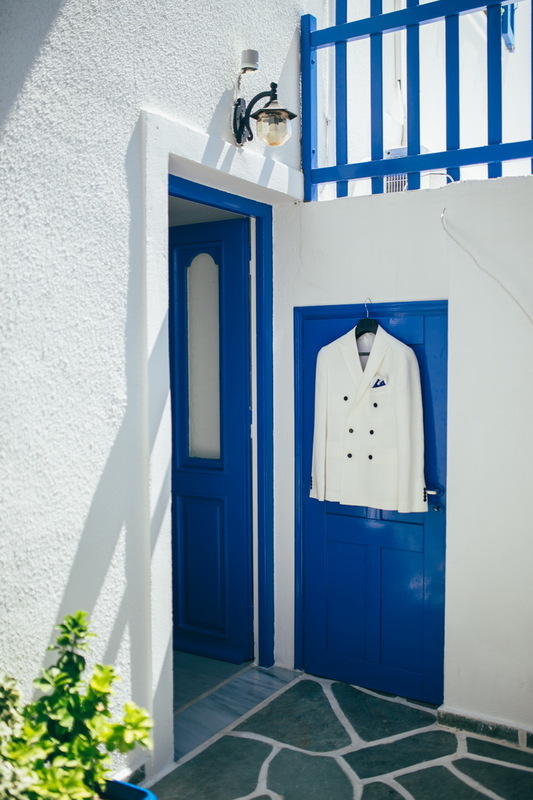 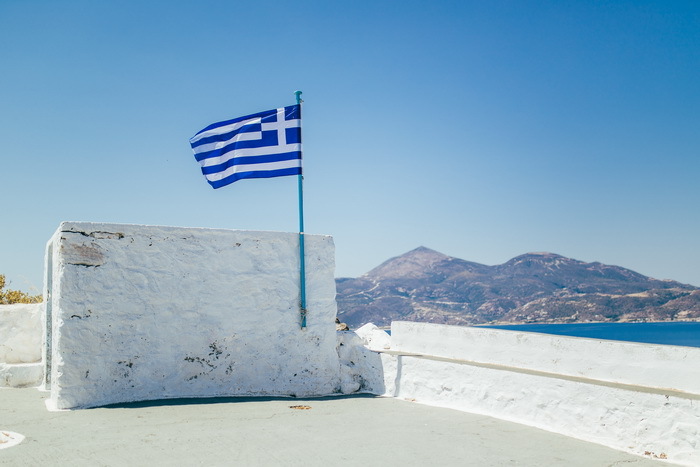 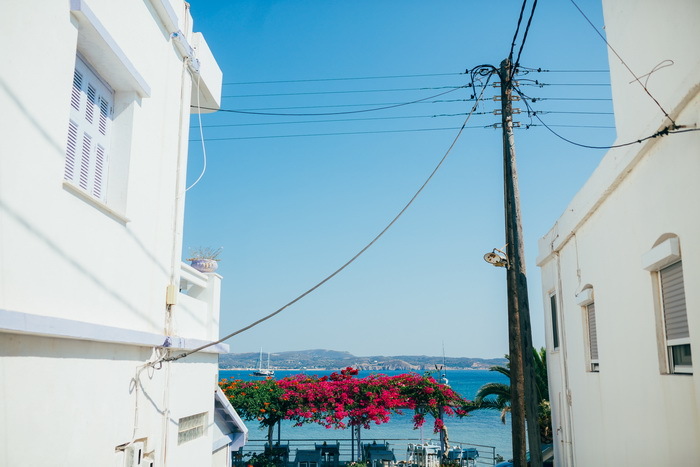 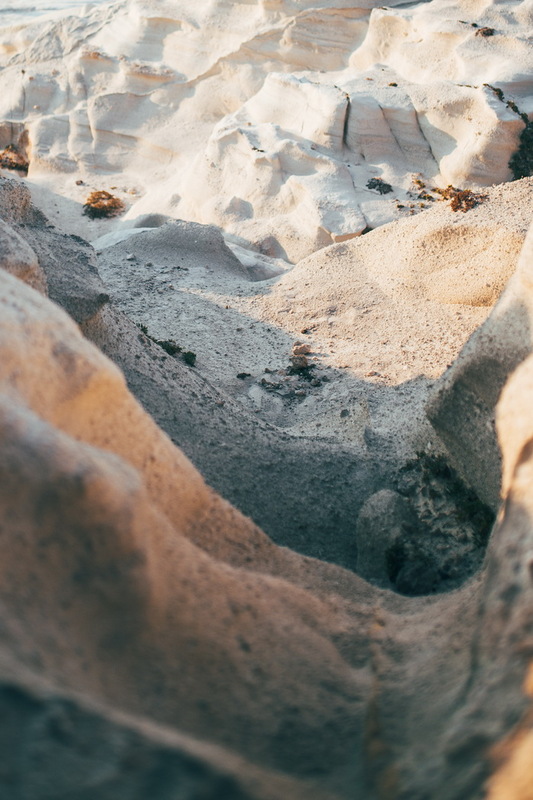 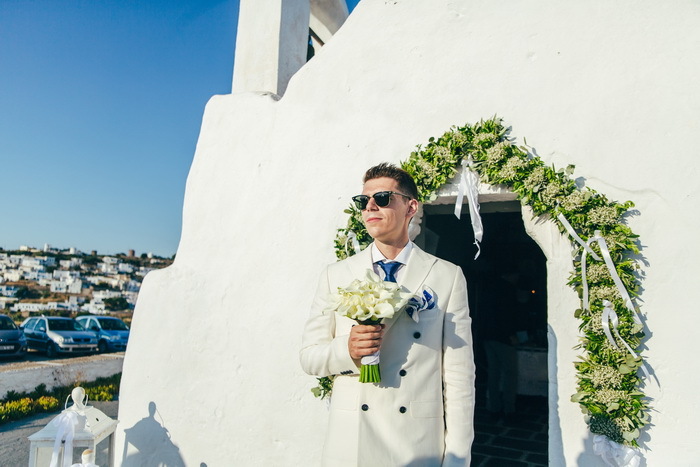 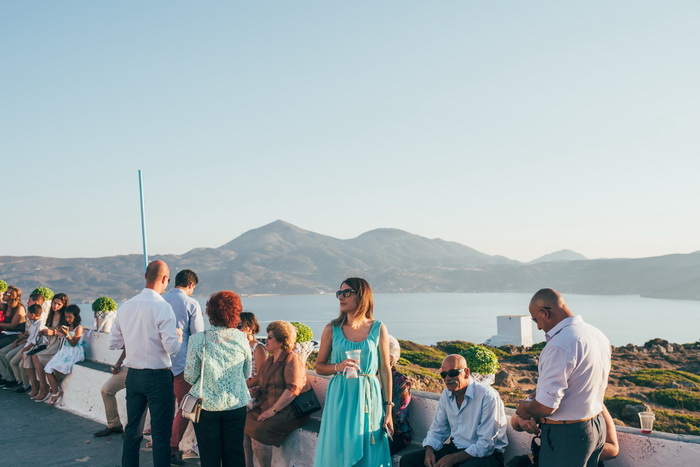 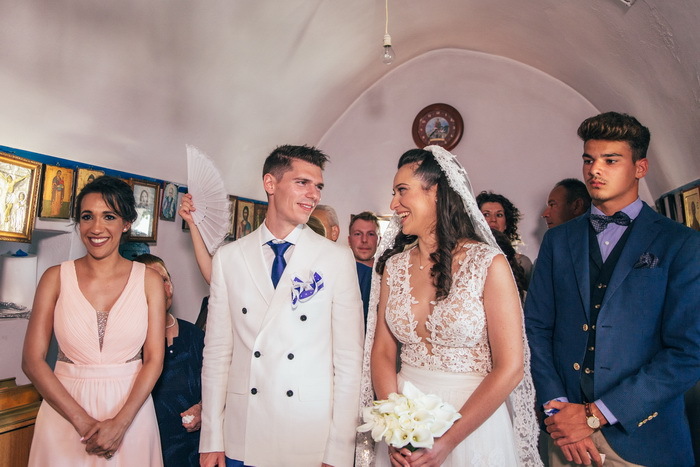 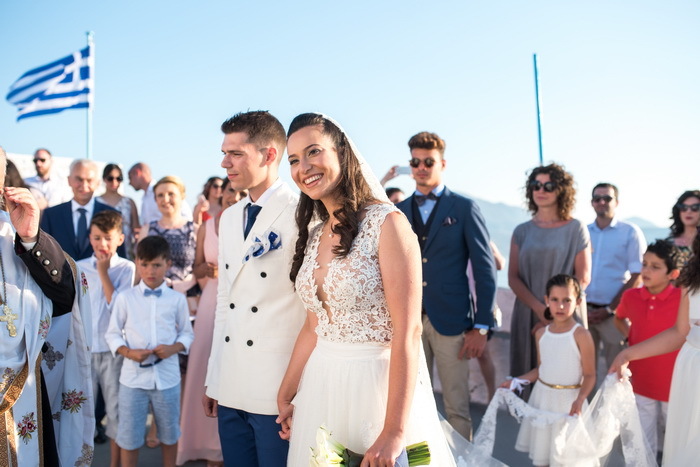 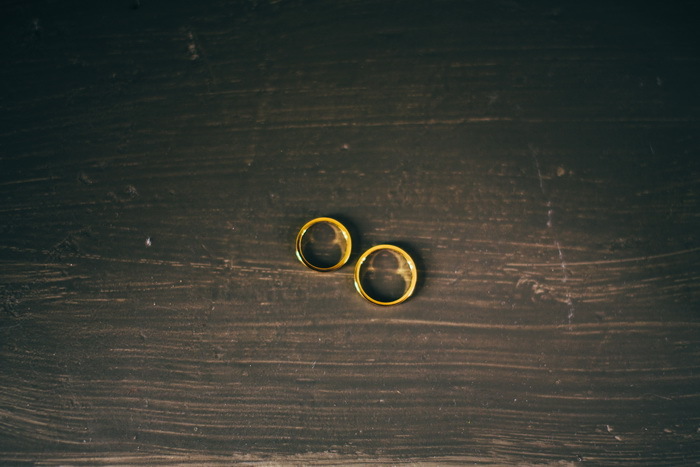 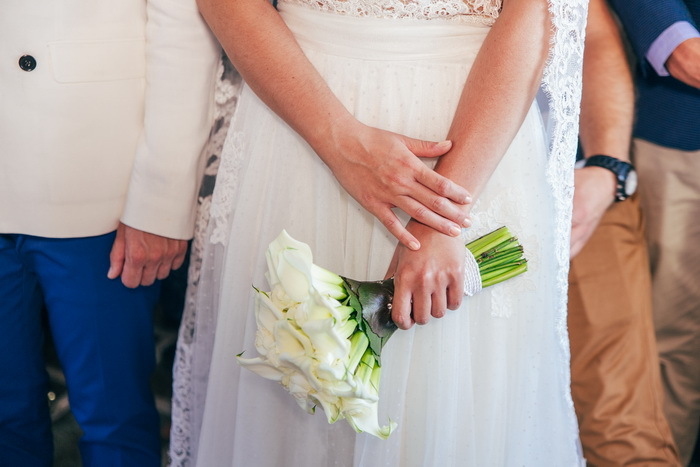 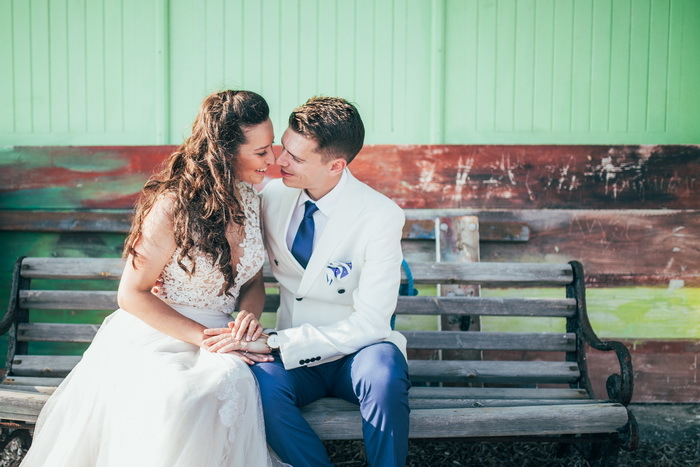 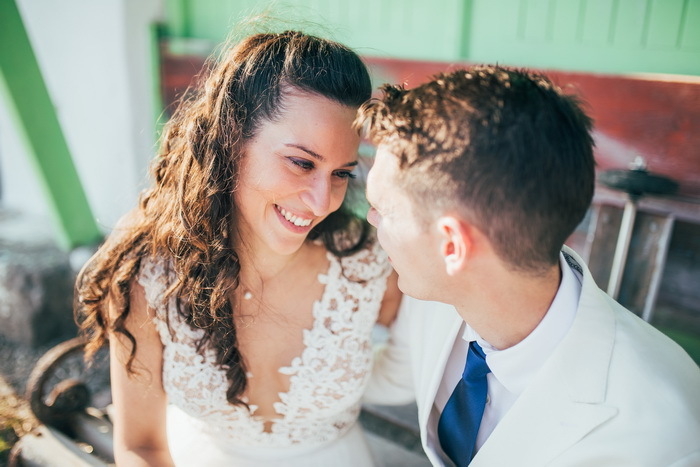 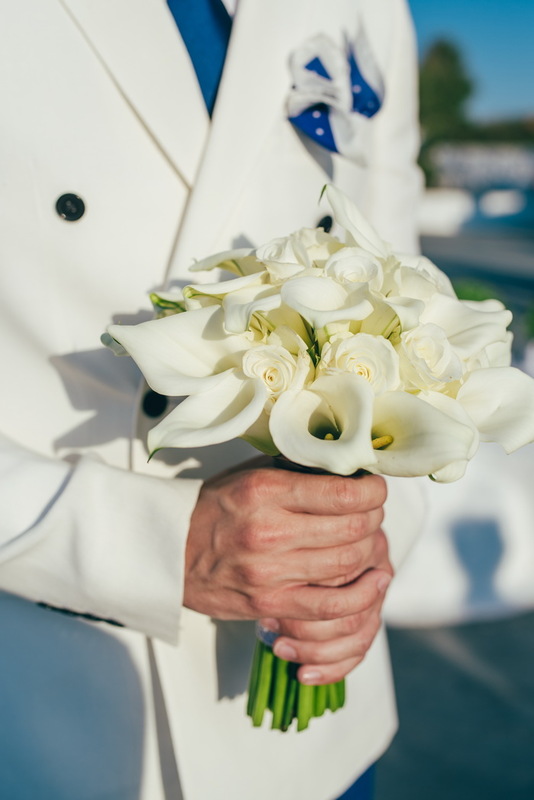 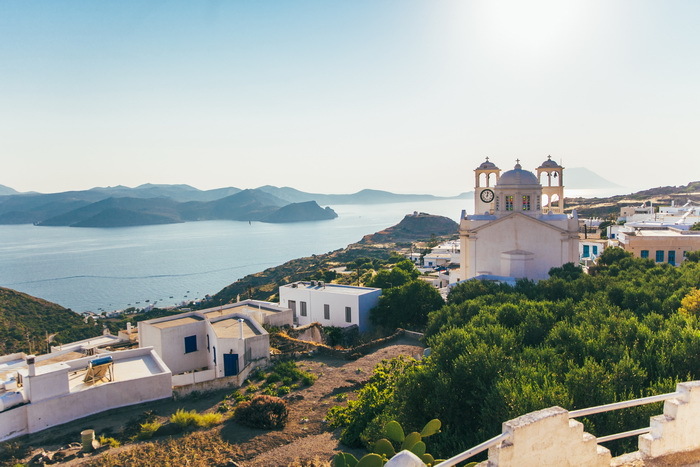 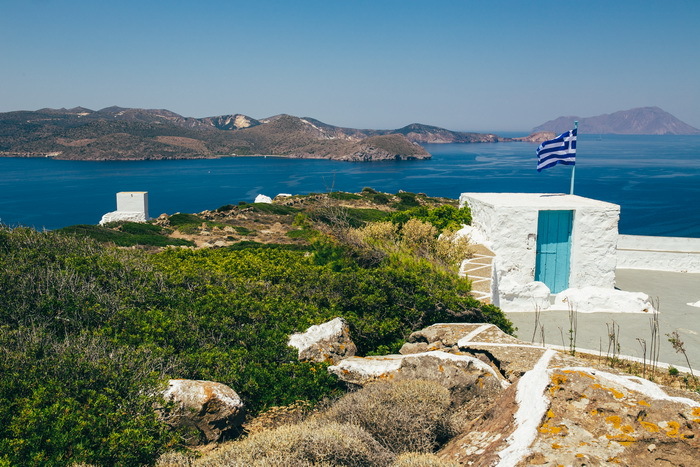 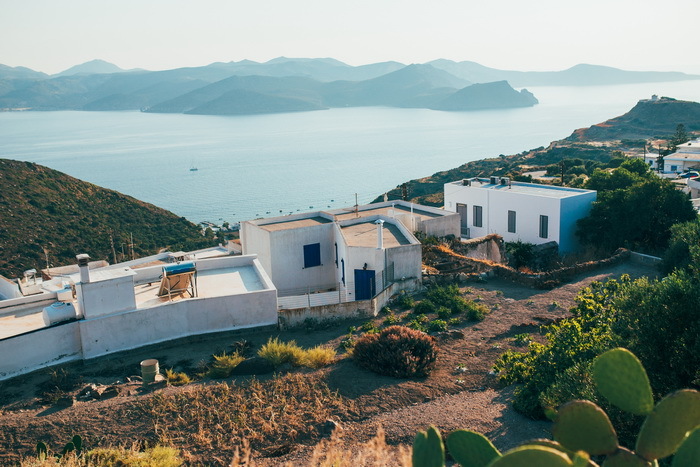 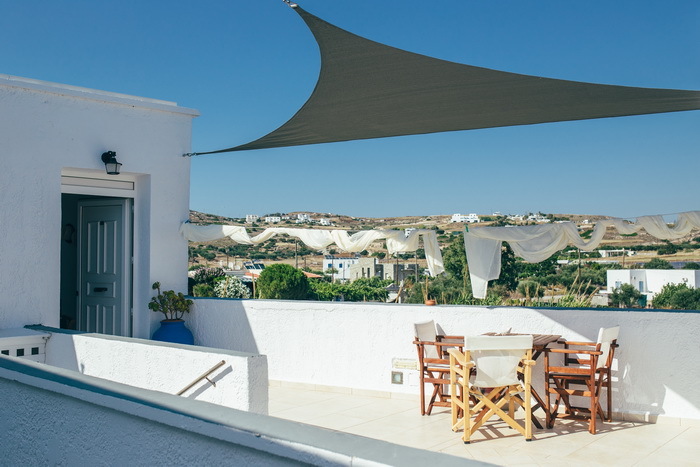 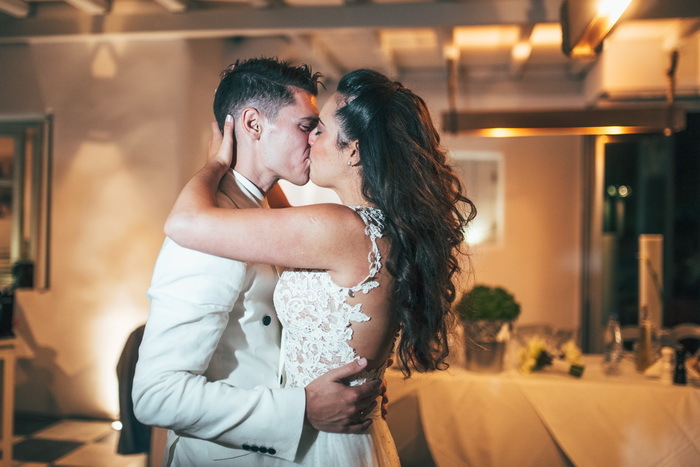 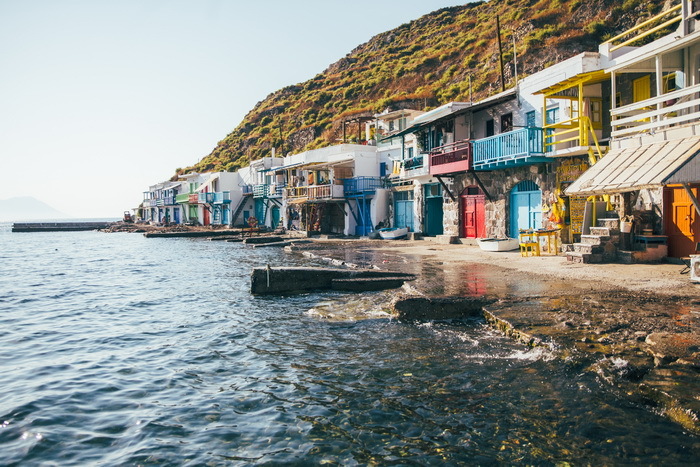 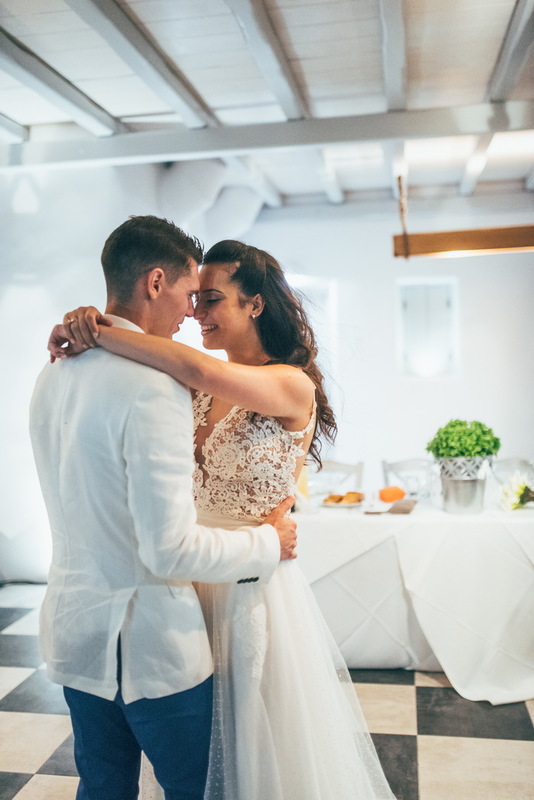 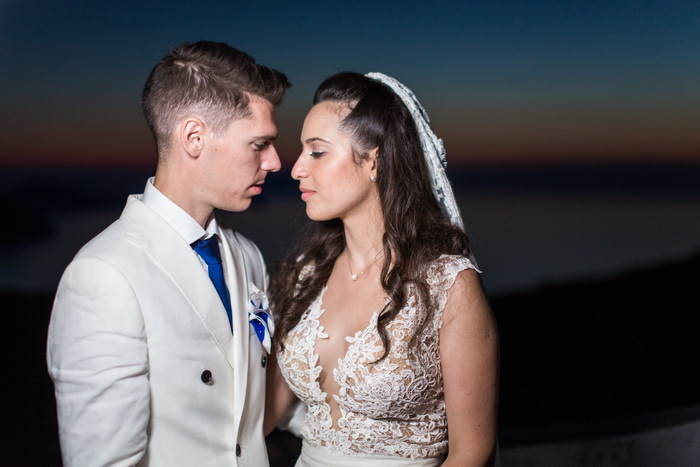 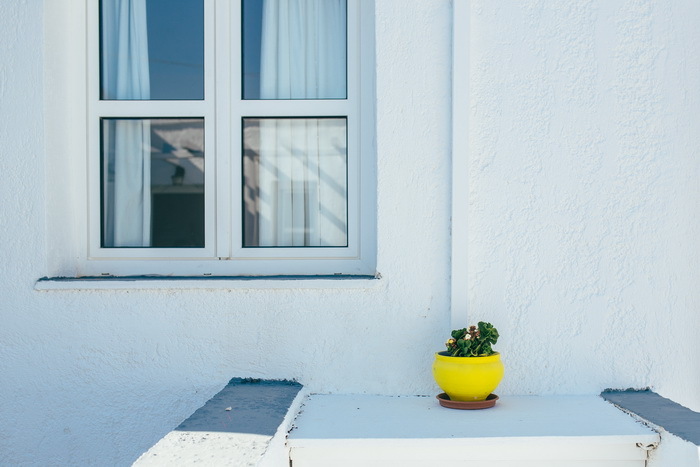 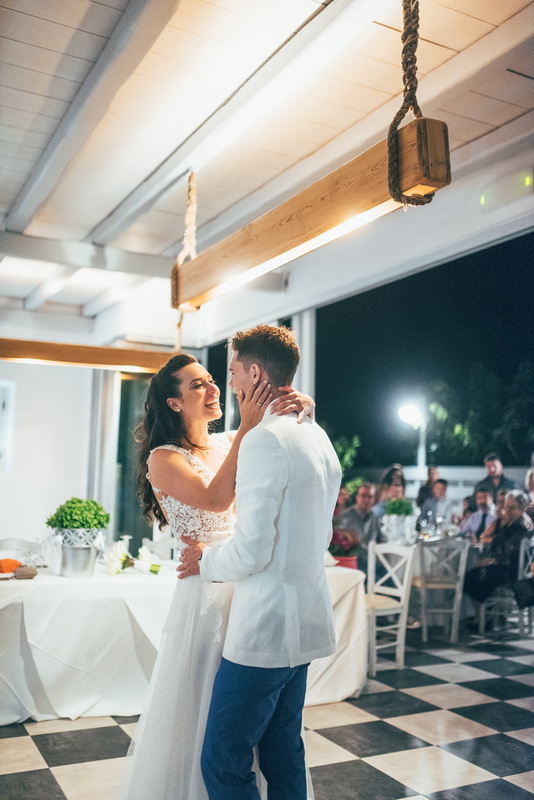 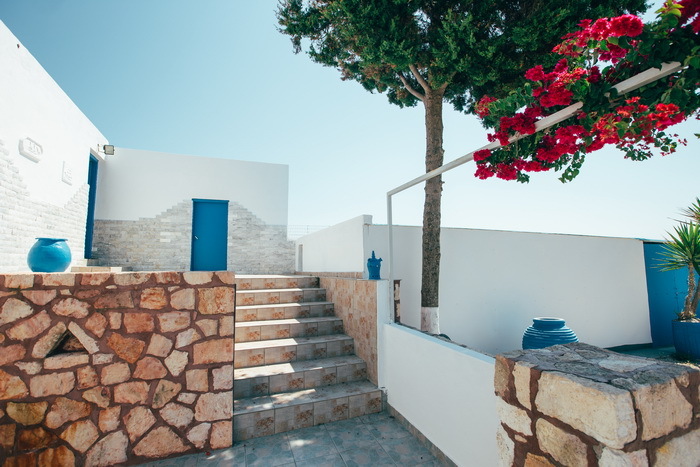 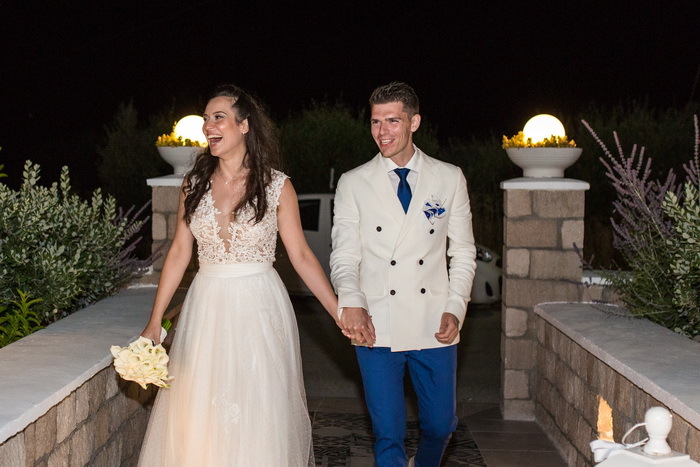 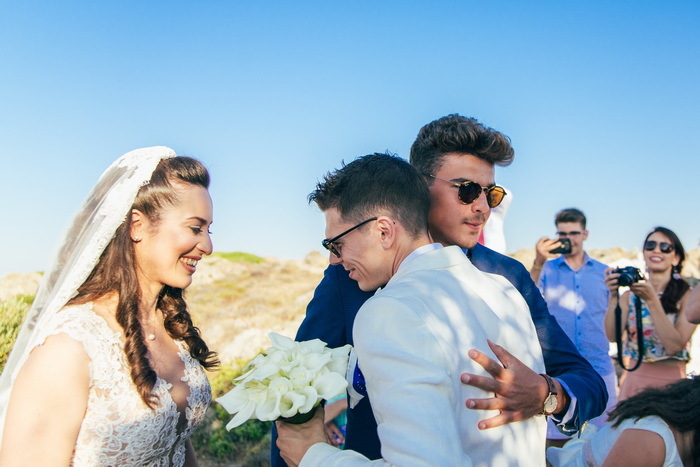 With the white lace of the wedding dress and the white suit of the groom matching the colors of the island, Marietta and Thanos returned to Milos for their wedding, the island where they once promised to get married. 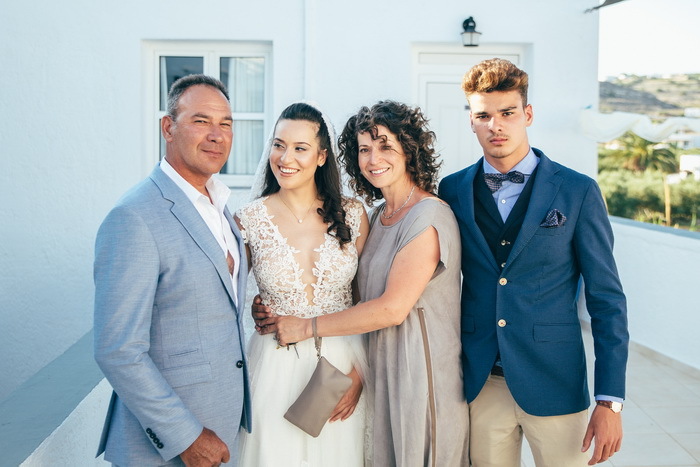 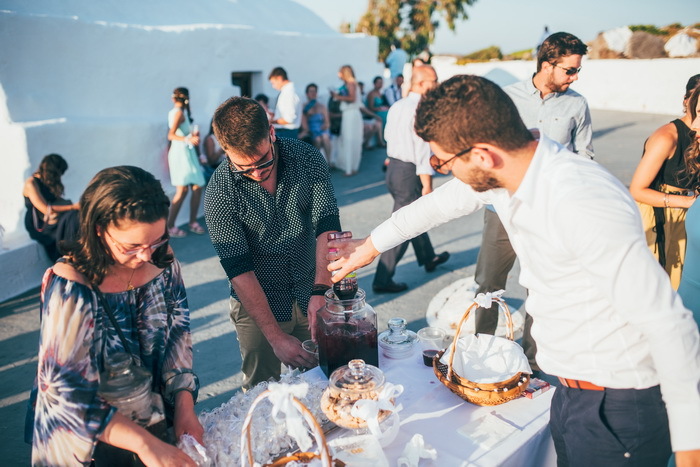 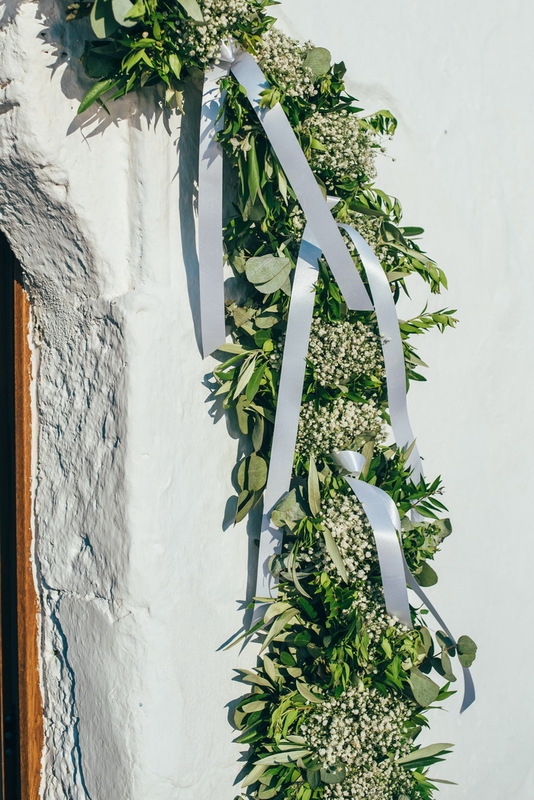 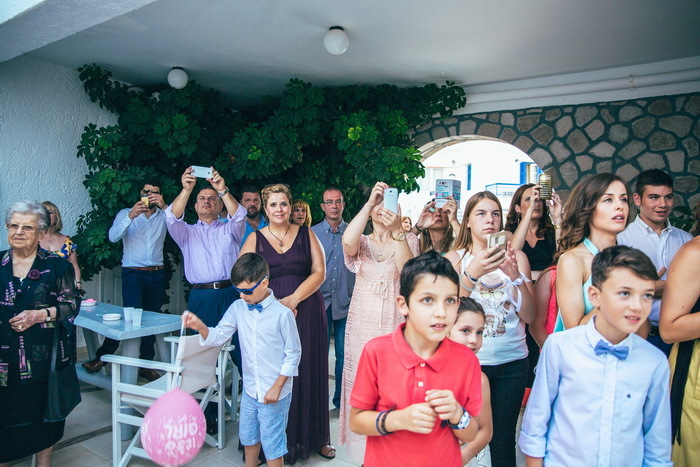 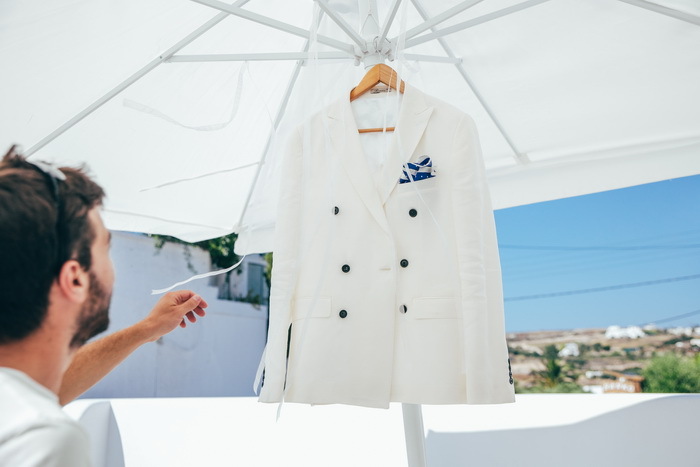 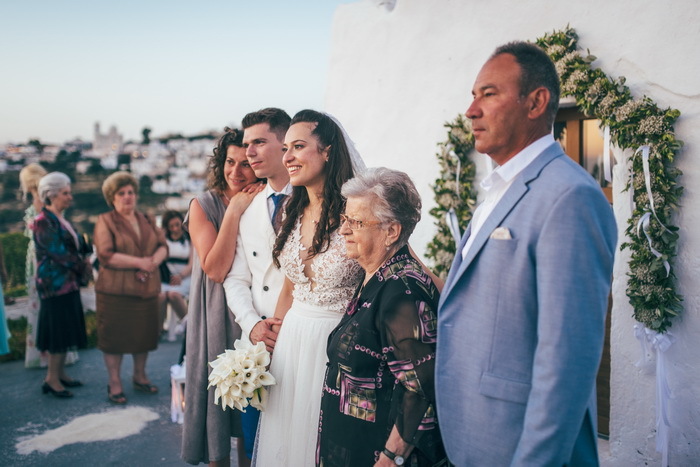 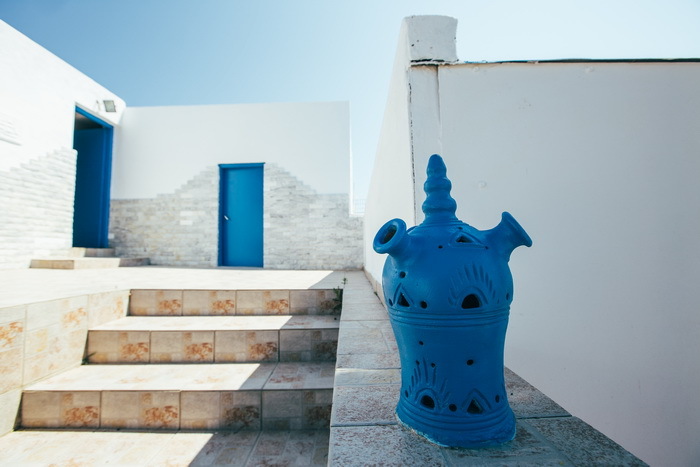 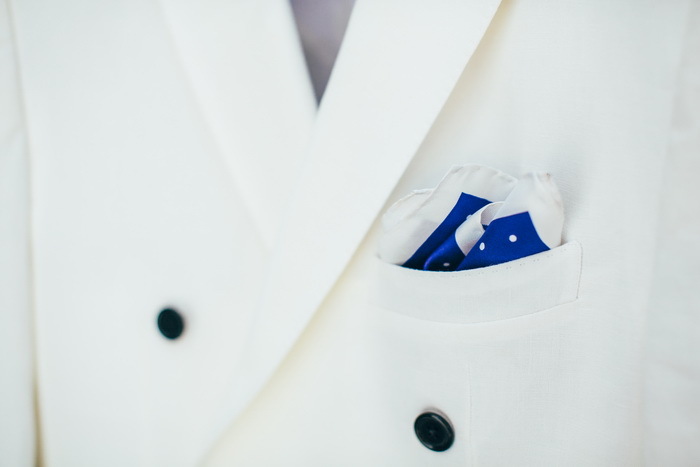 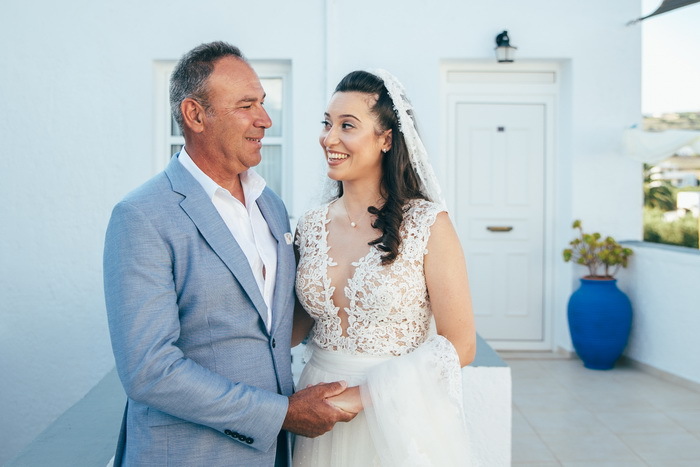 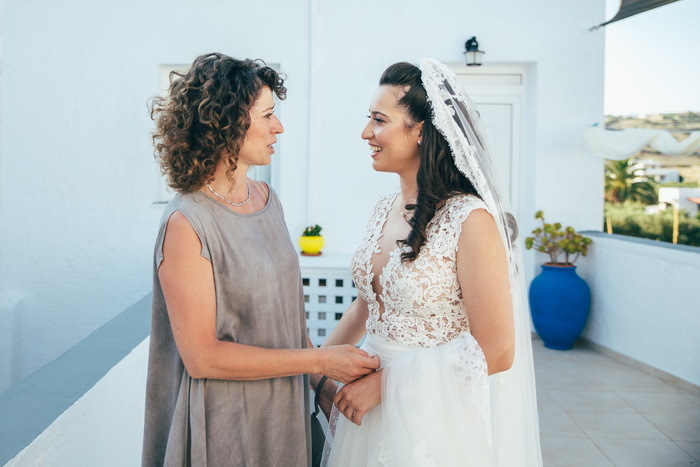 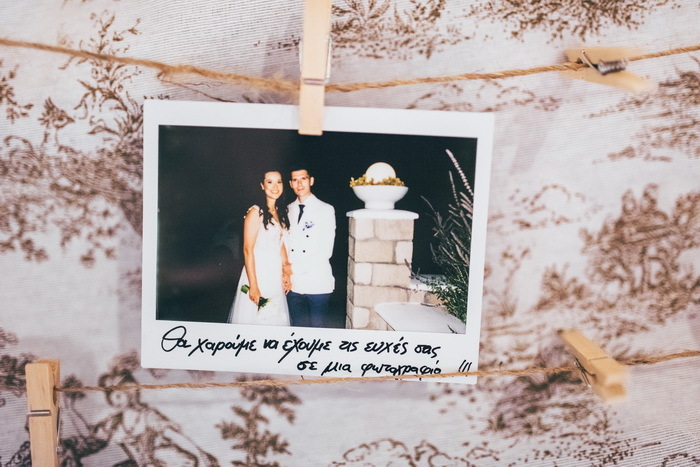 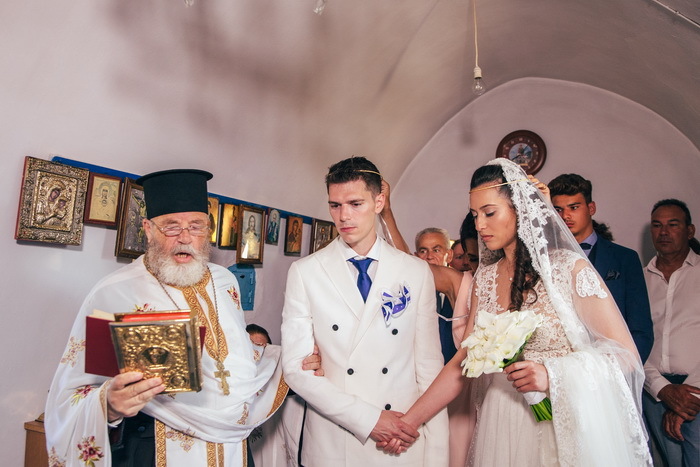 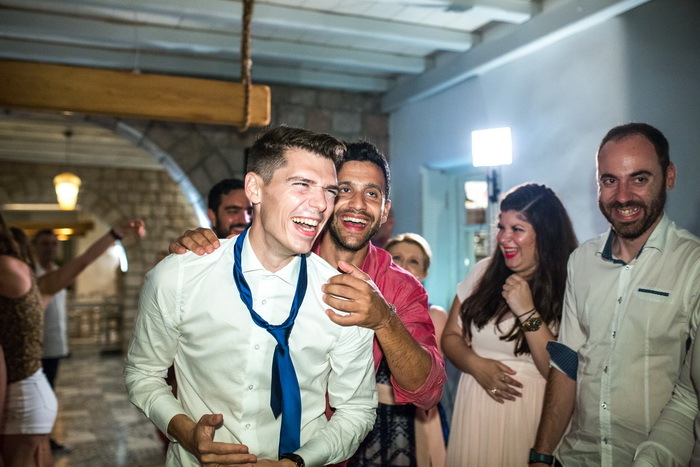 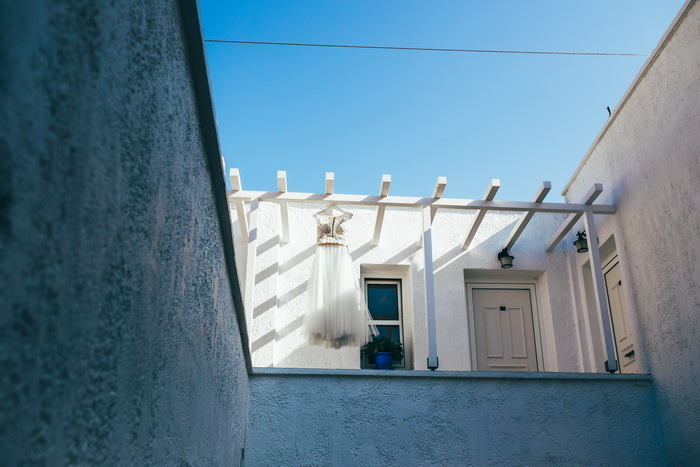 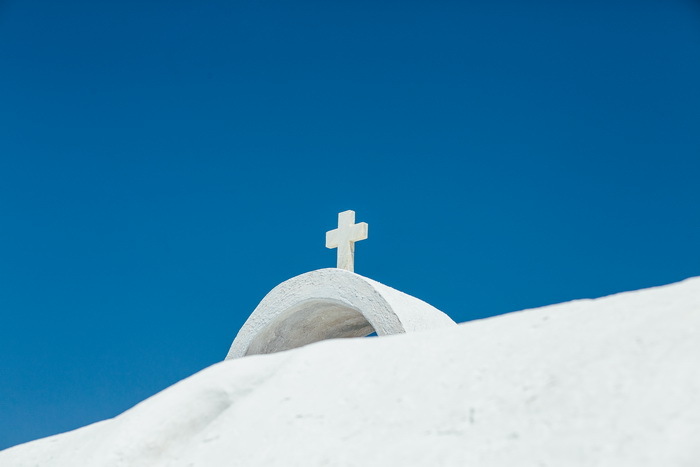 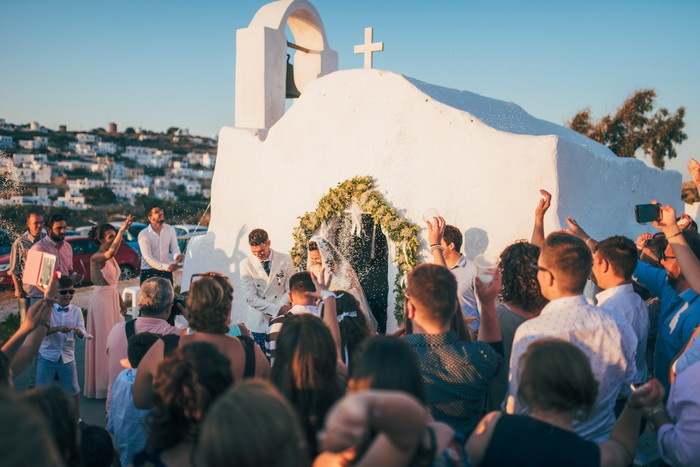 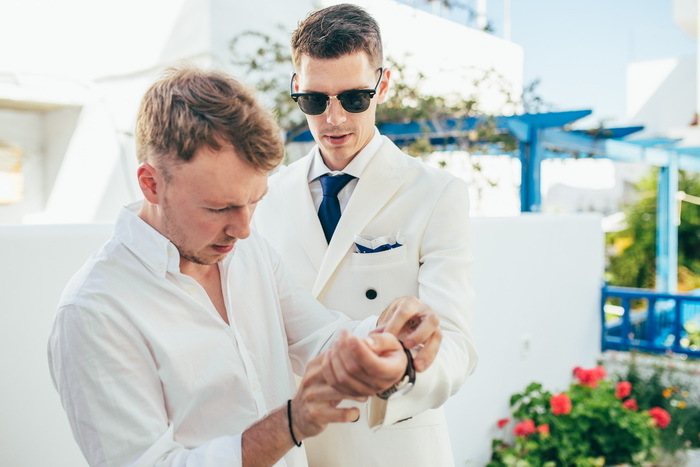 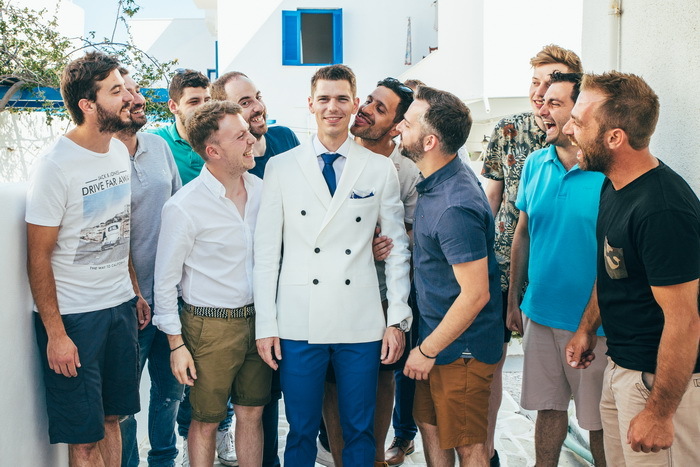 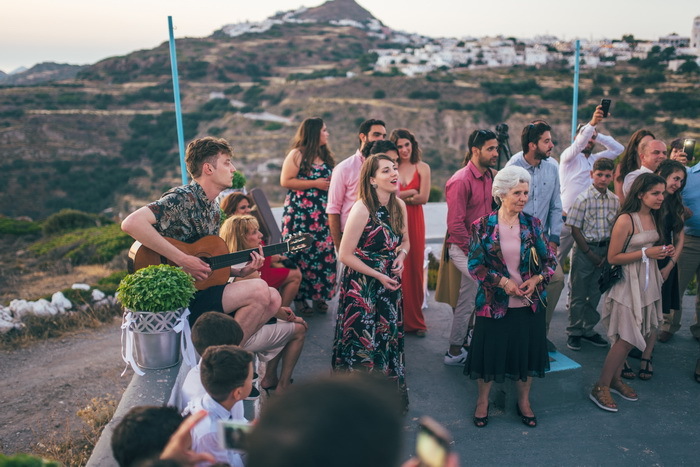 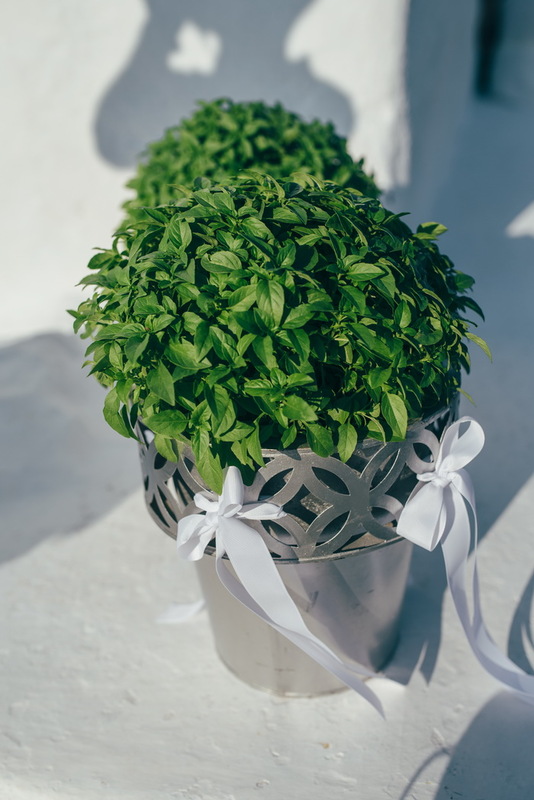 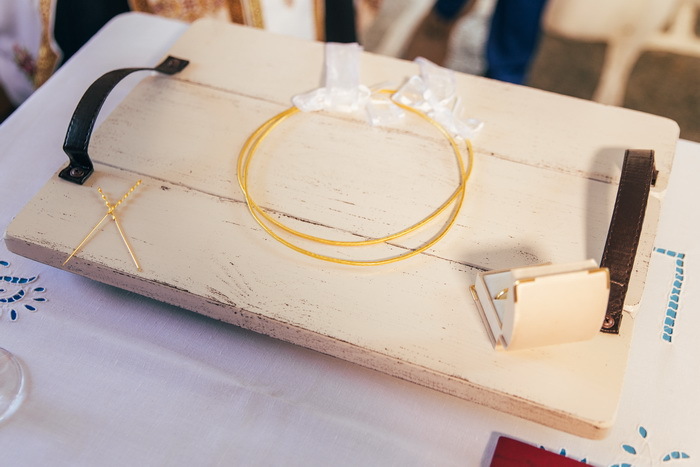 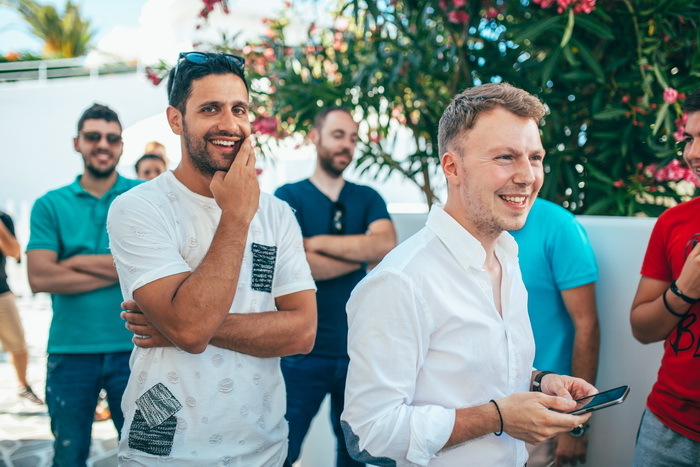 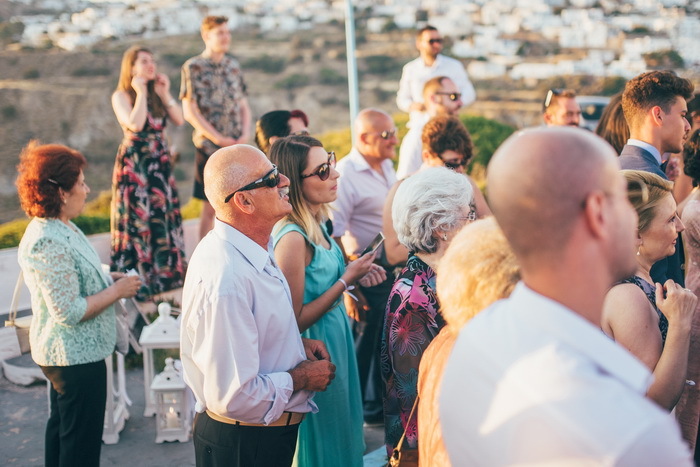 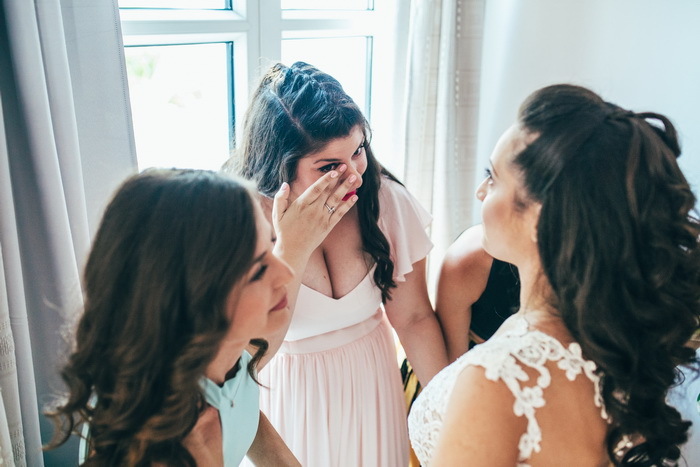 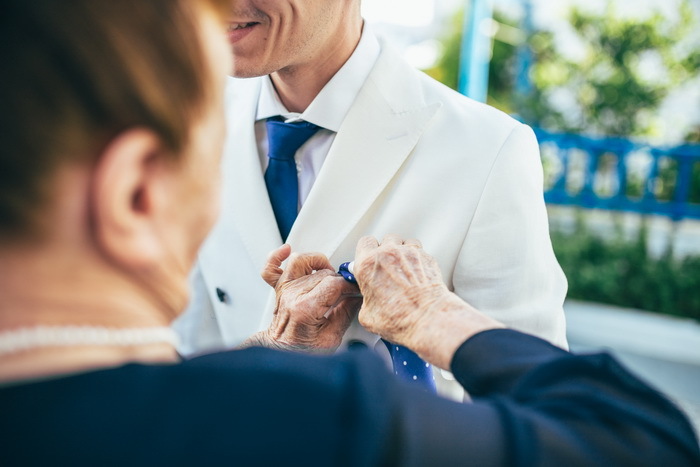 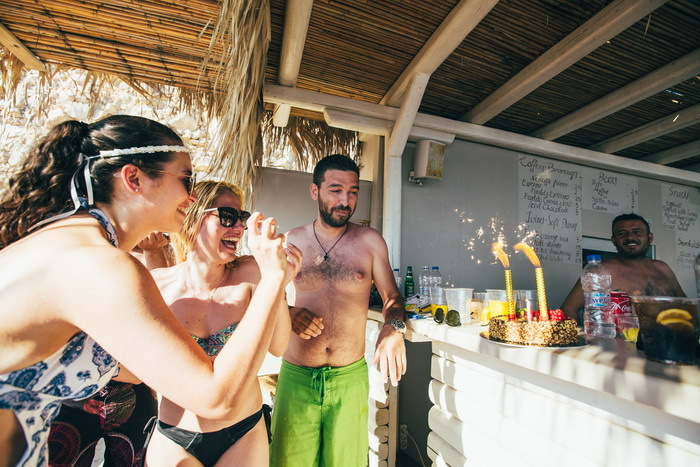 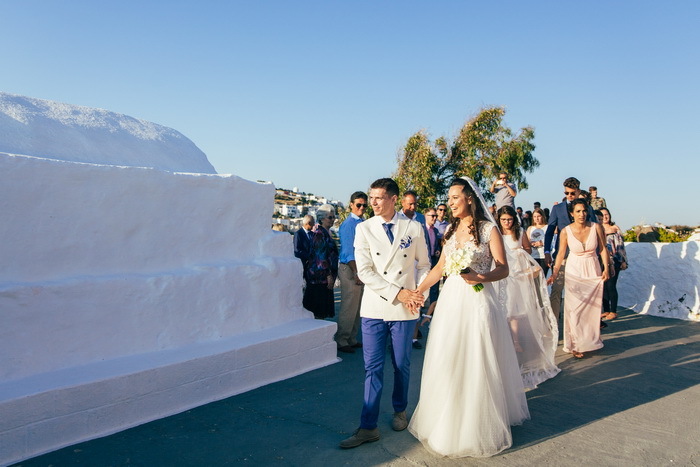 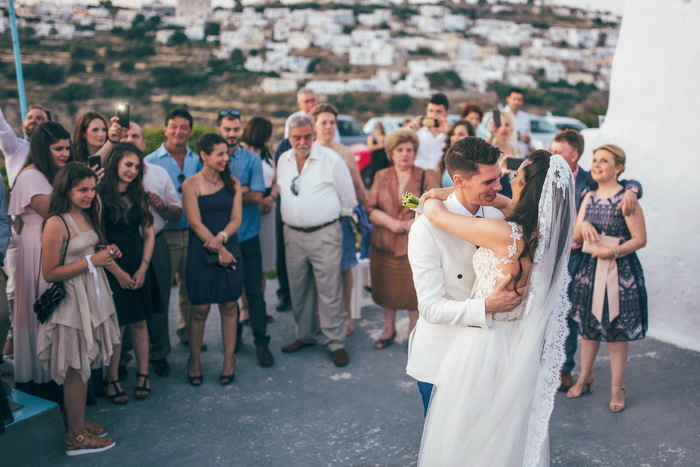 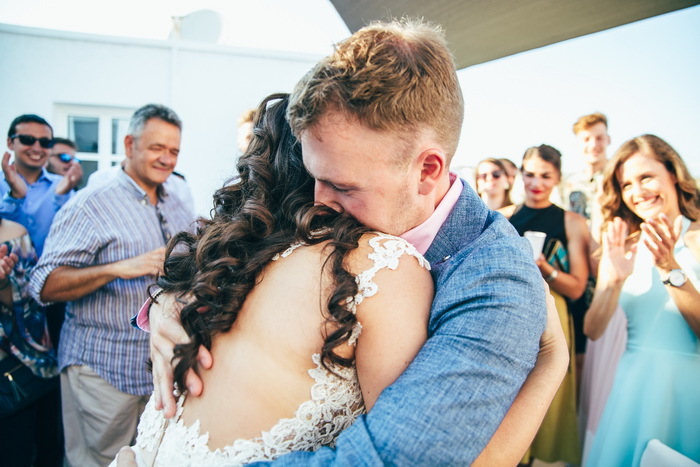 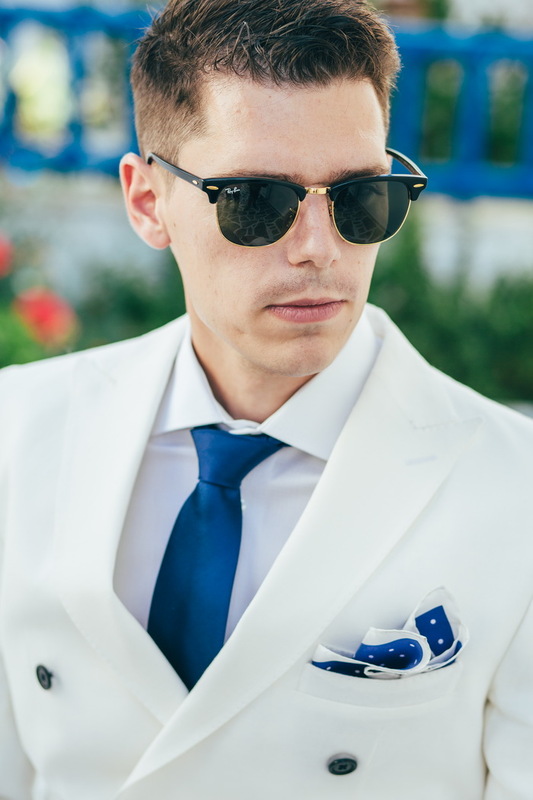 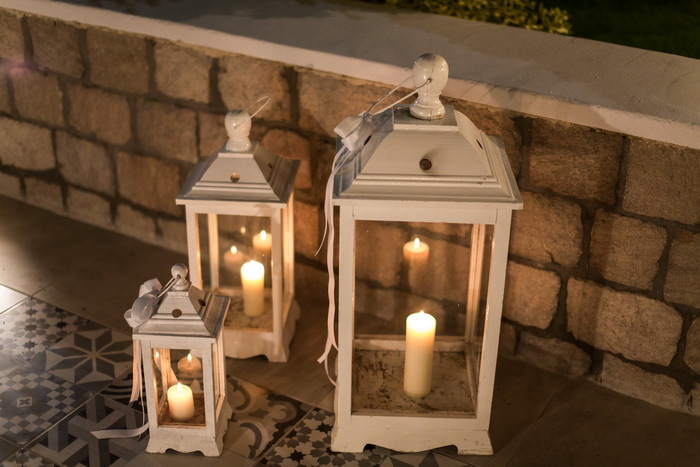 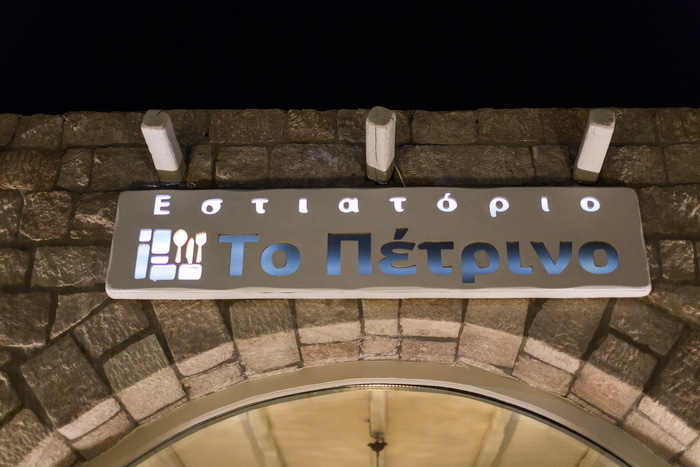 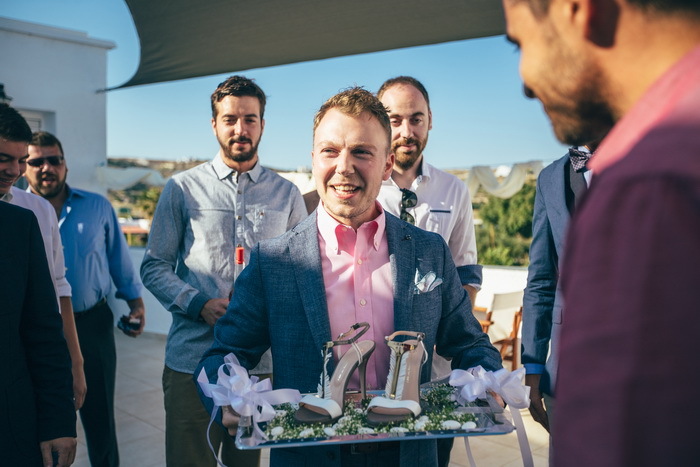 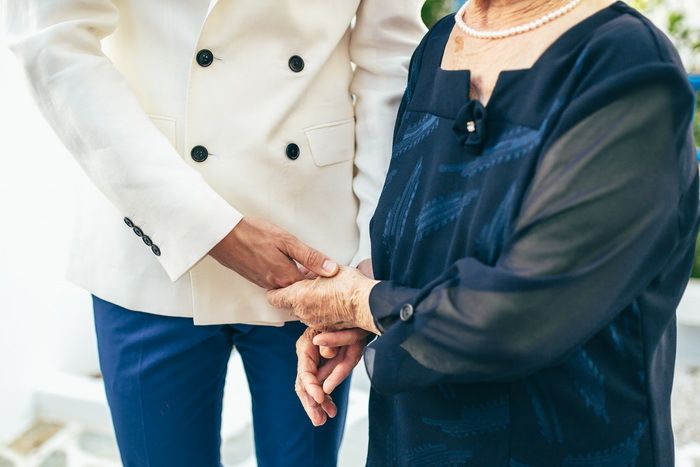 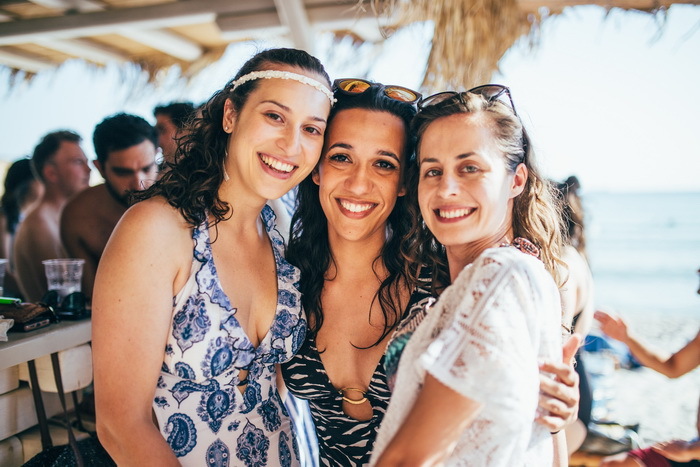 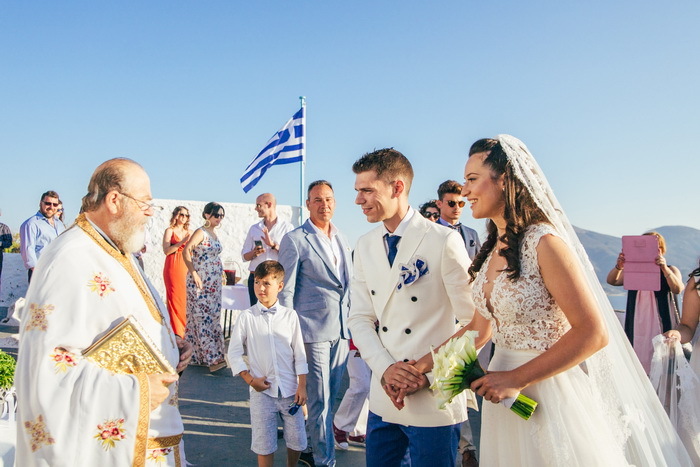 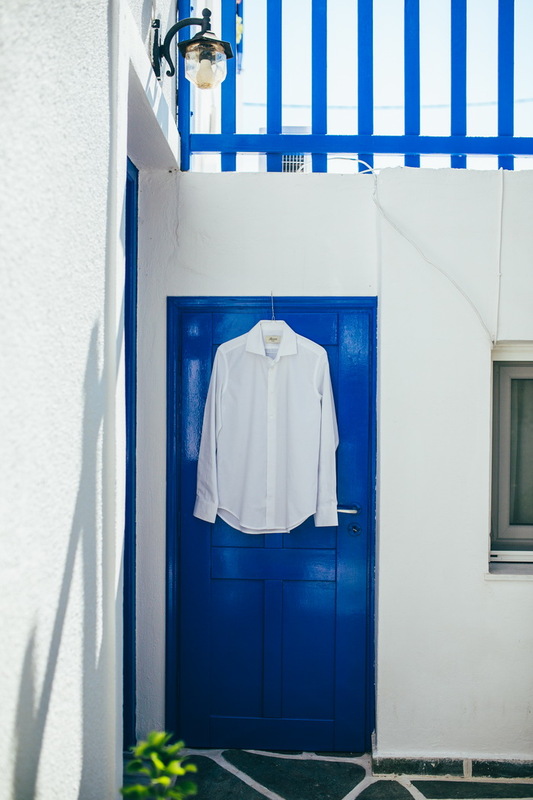 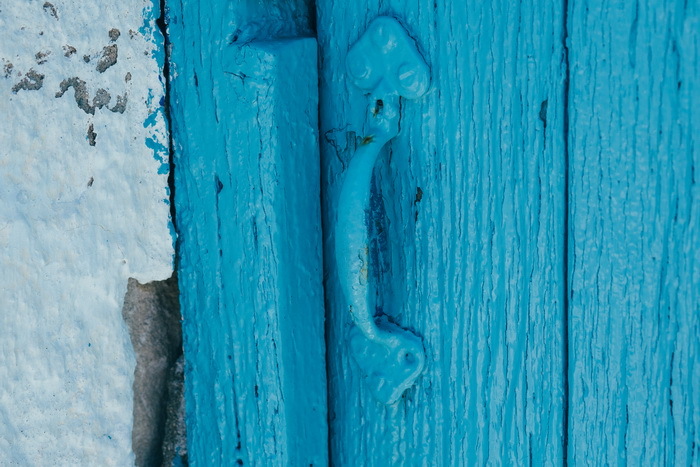 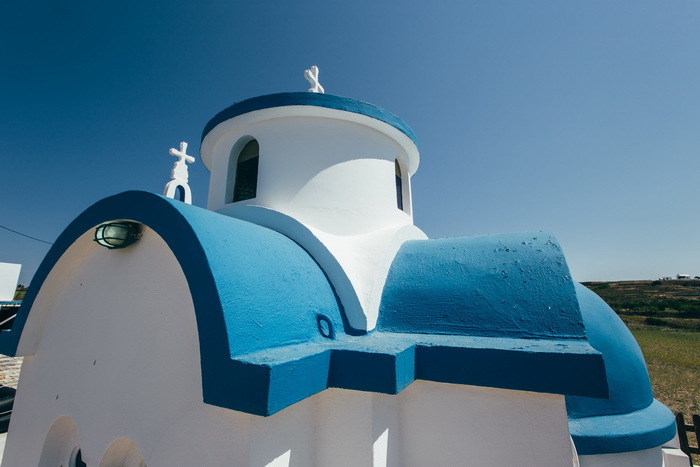 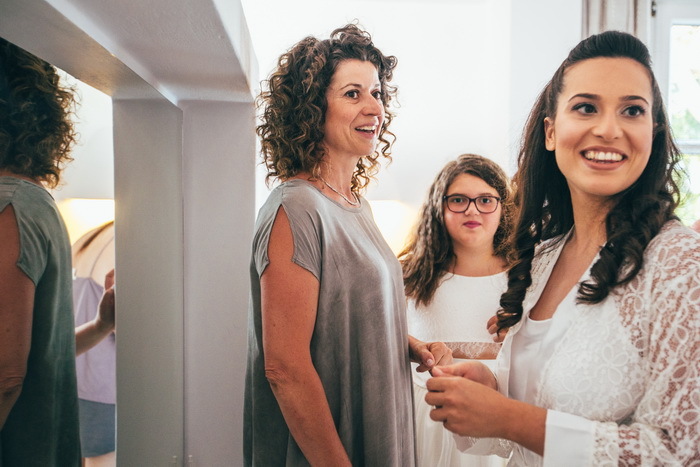 Bringing together family and friends from all over Greece, the couple exchanged vows, with the Aegean blue embellishing the ceremony. 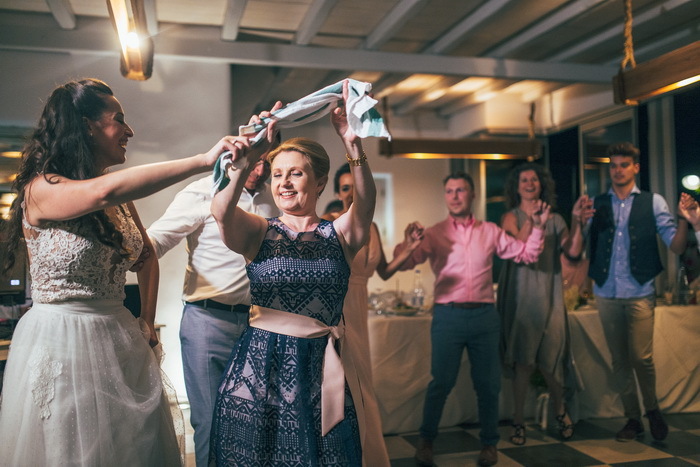 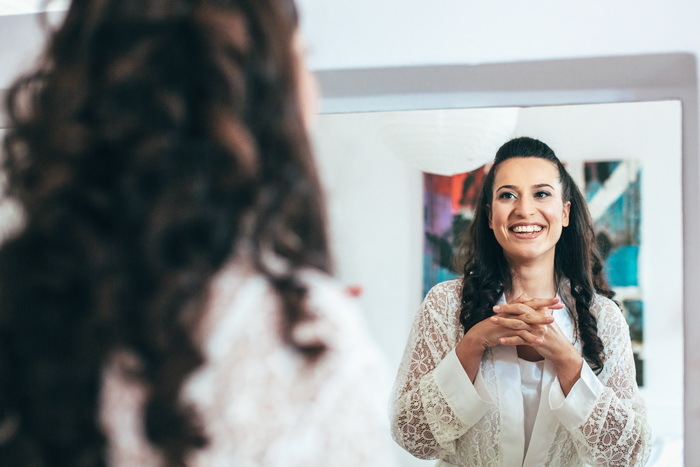 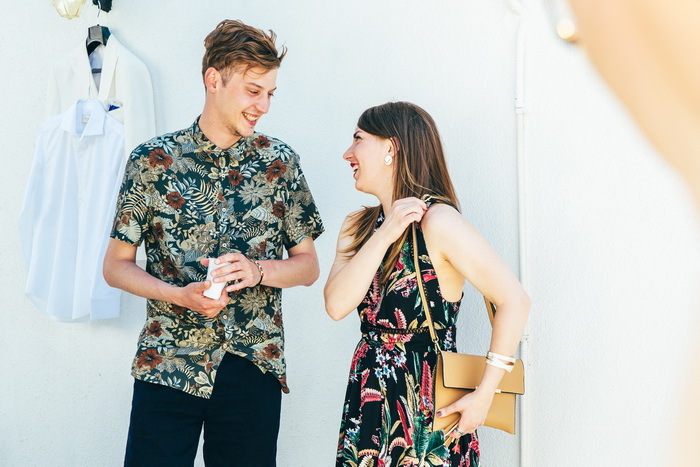 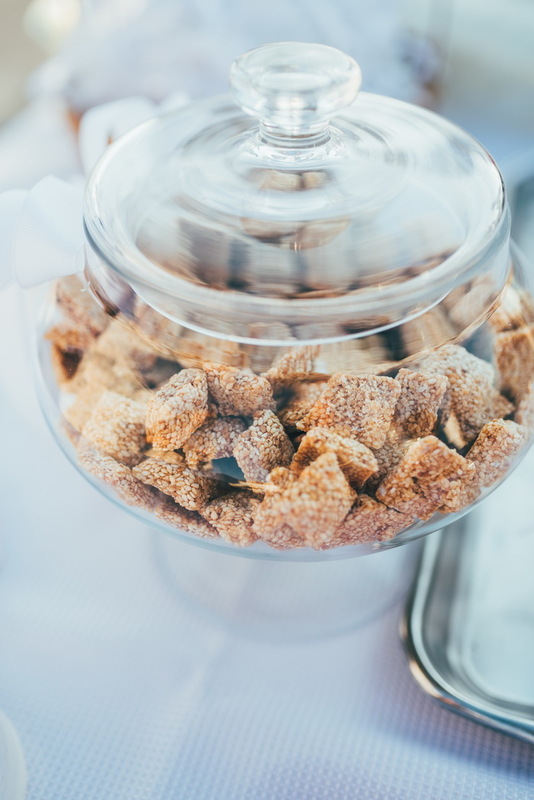 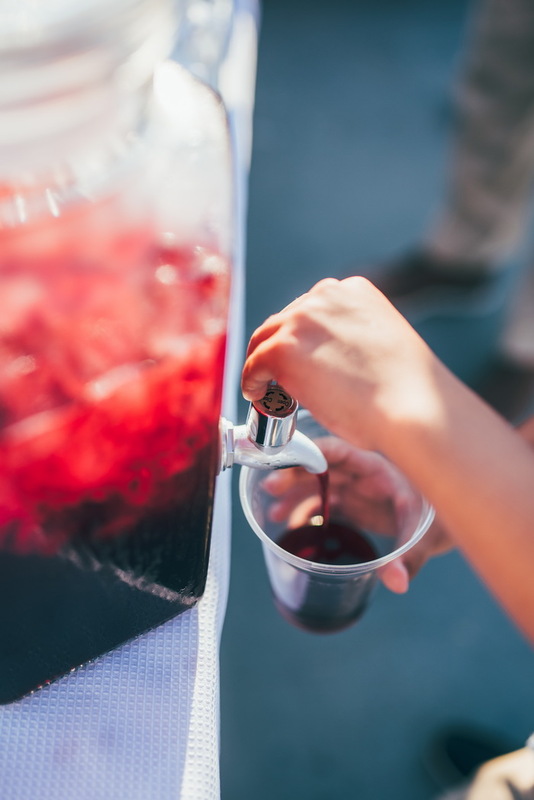 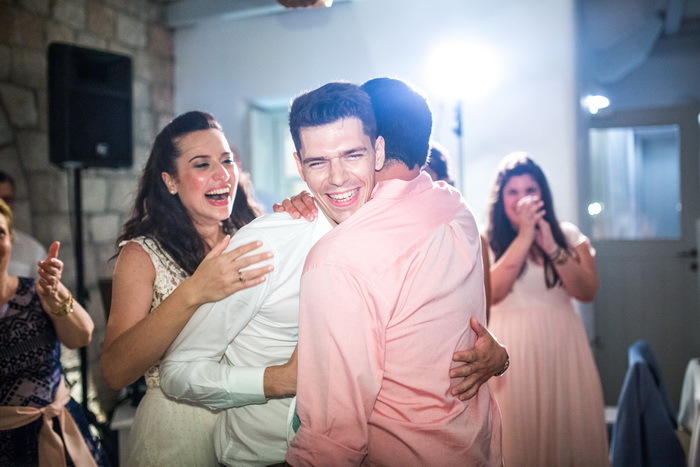 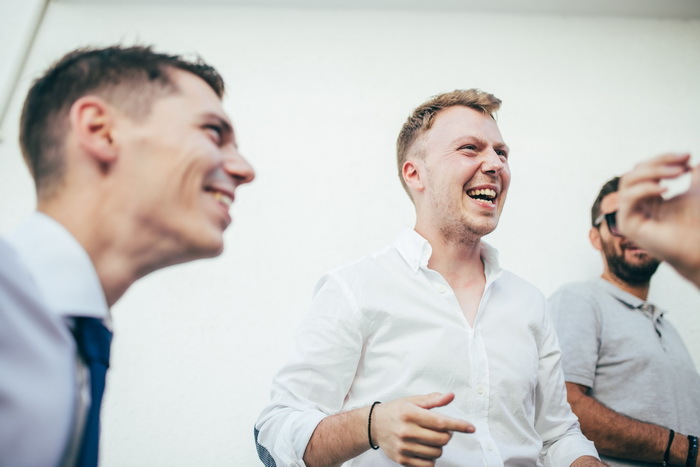 The bride and the groom accompanied by their family and friends enjoyed themselves at one of the most joyful and delirious wedding parties. 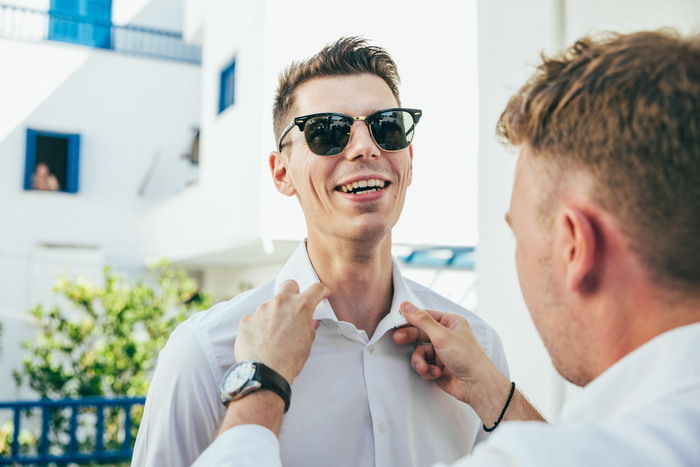 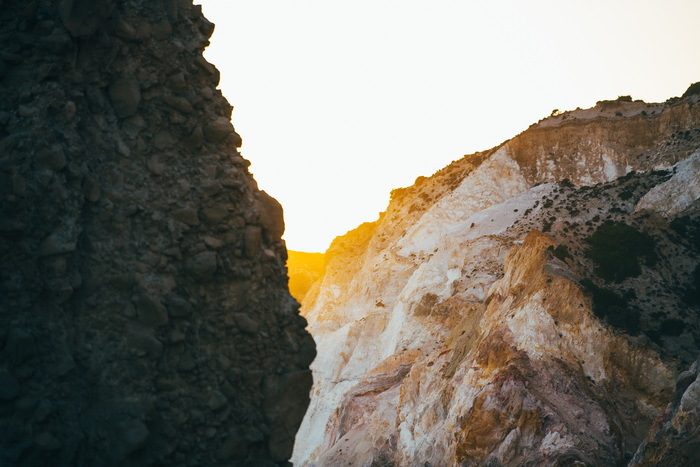 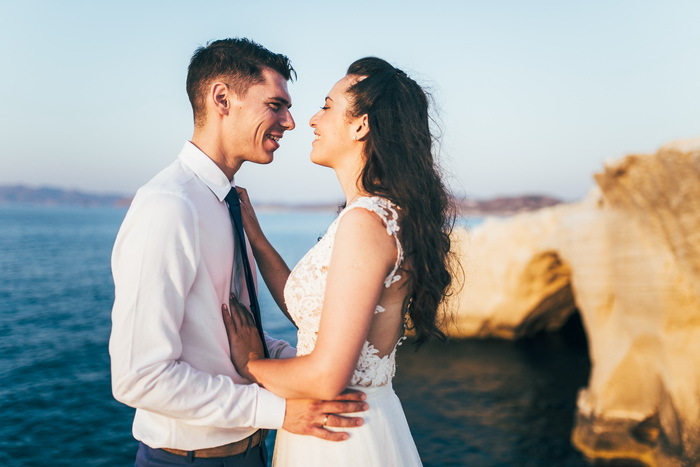 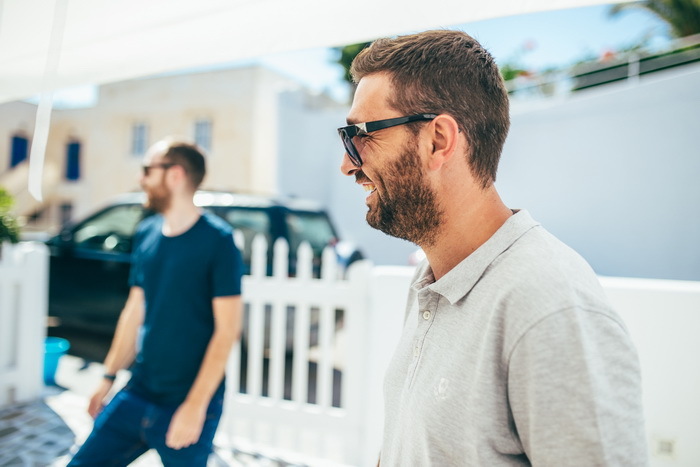 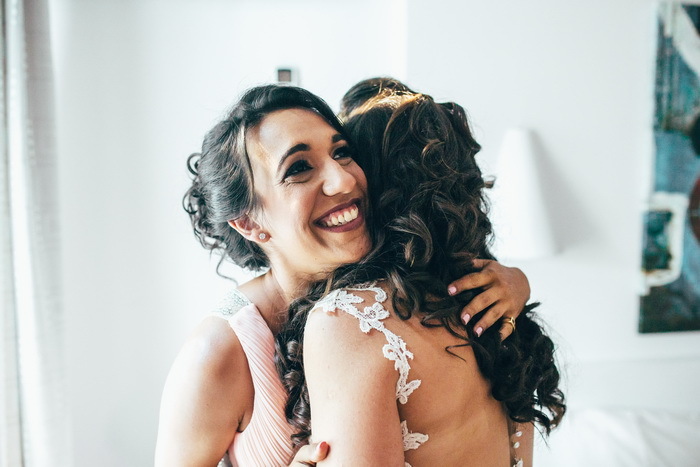 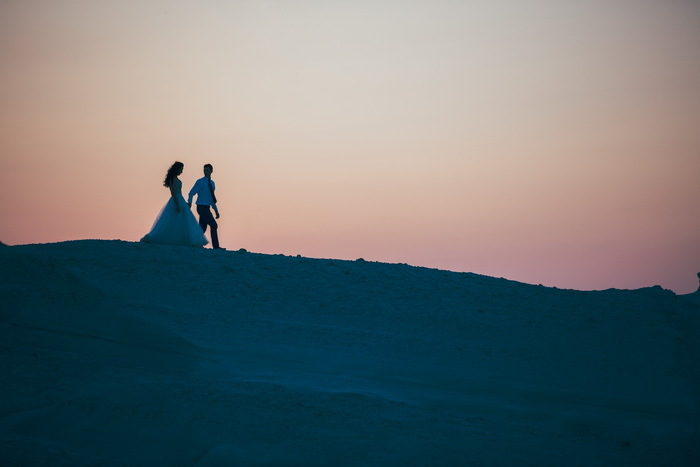 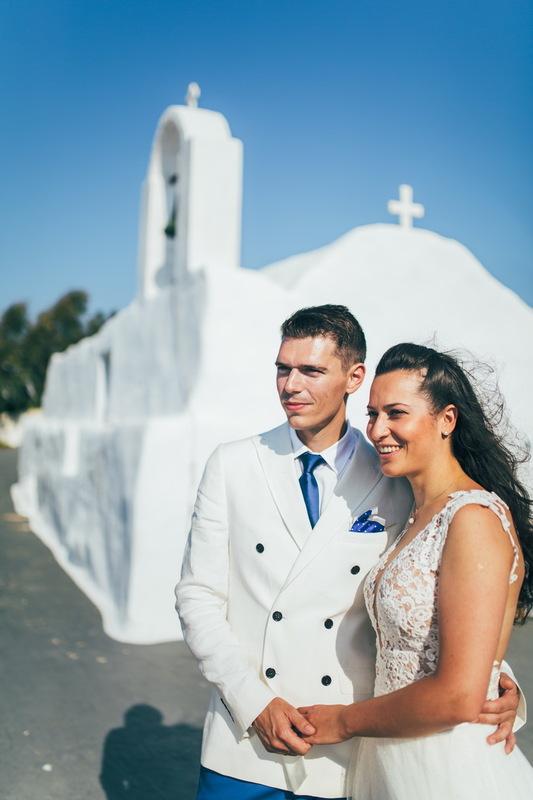 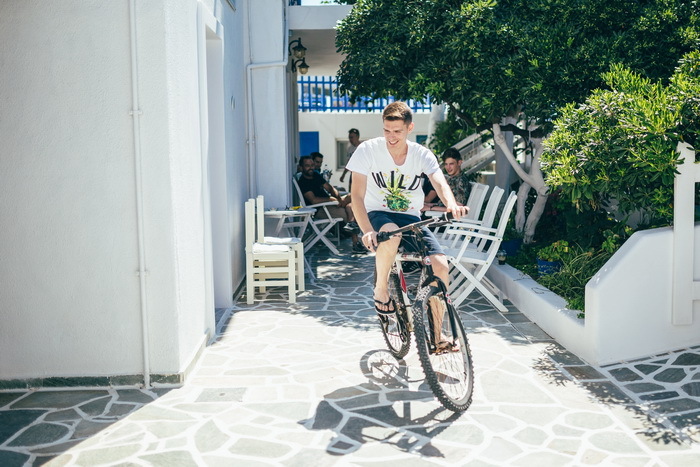 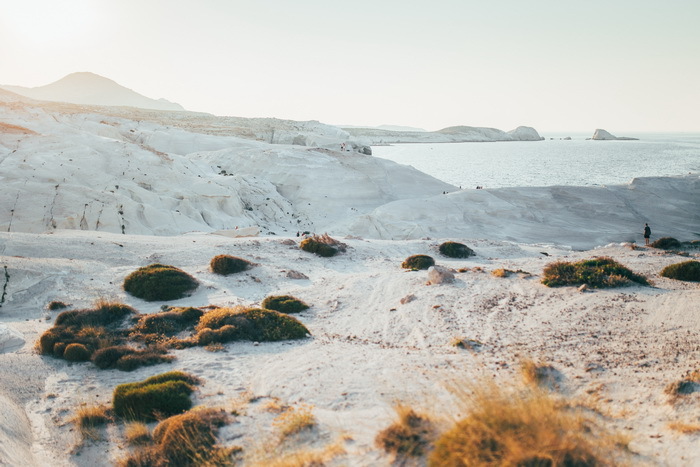 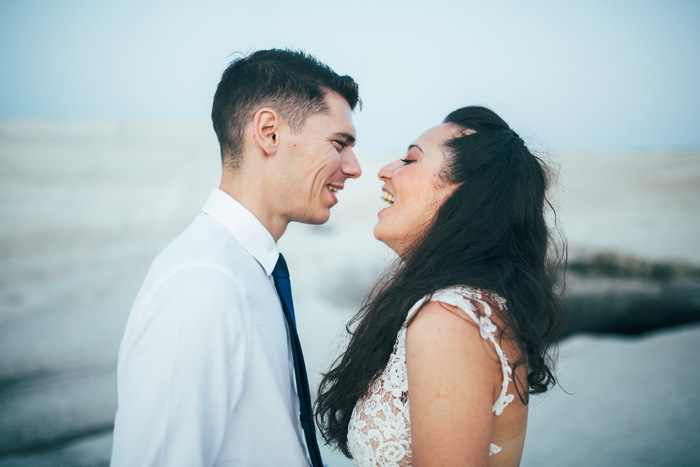 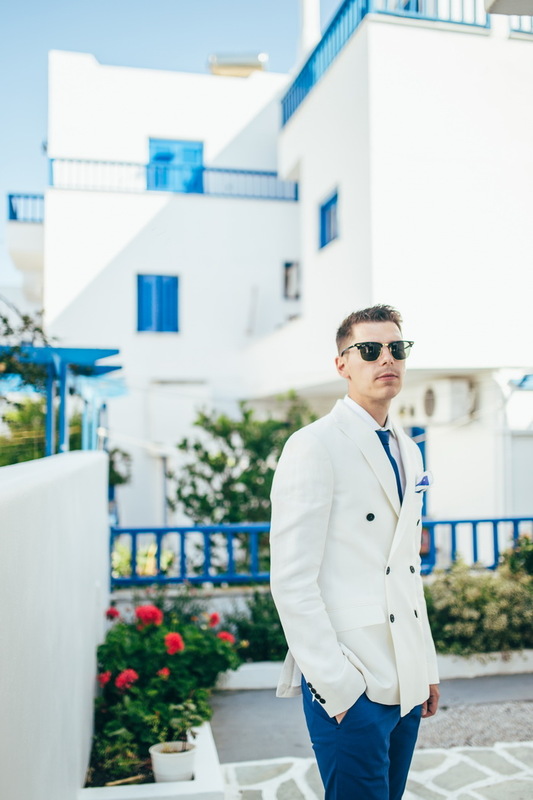 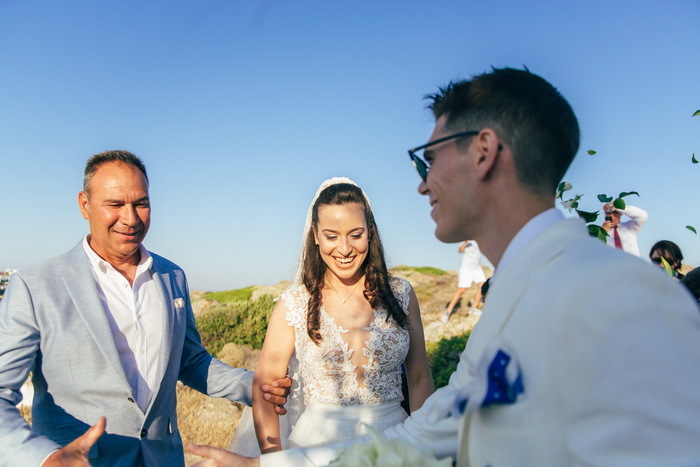 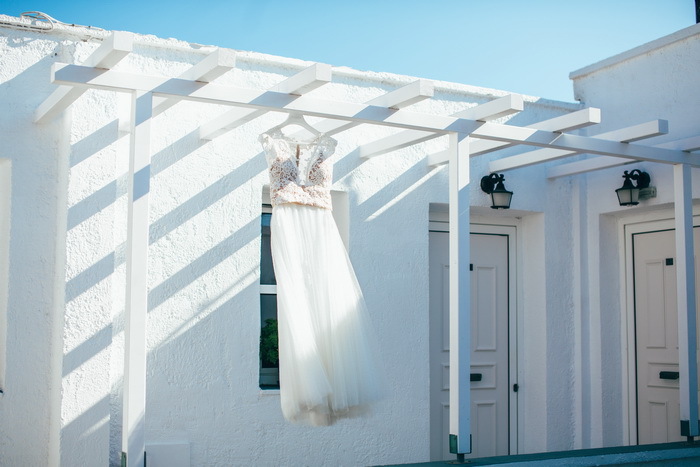 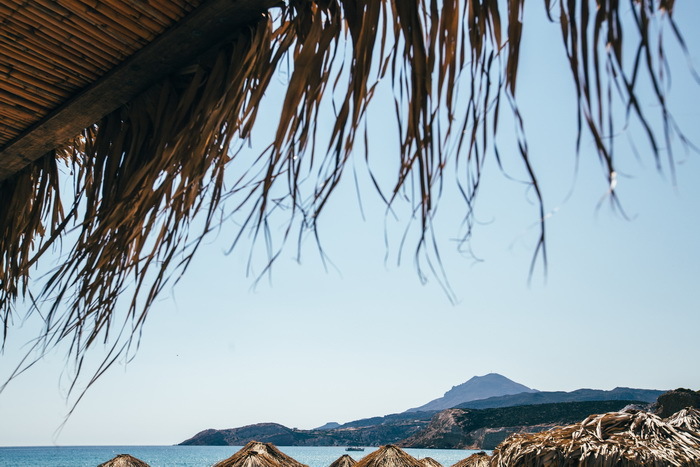 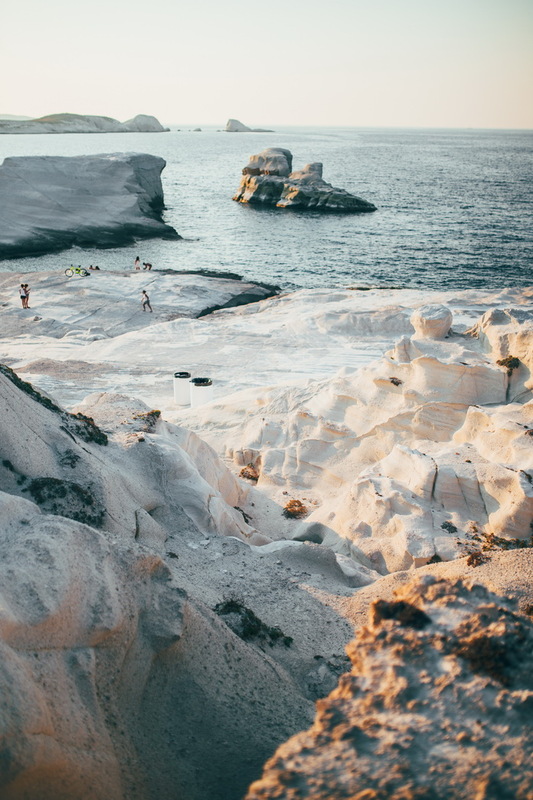 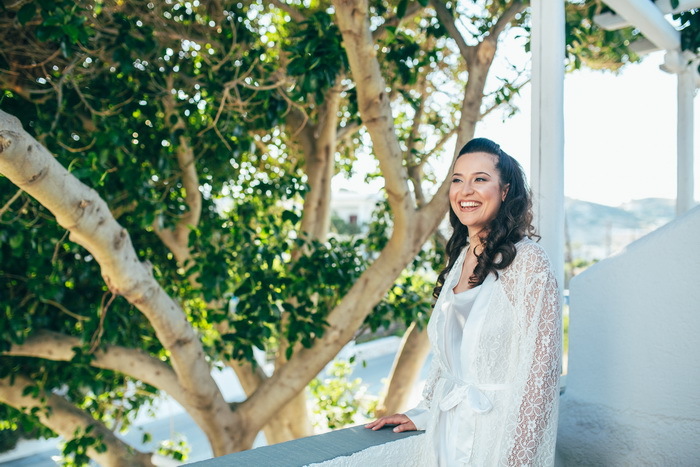 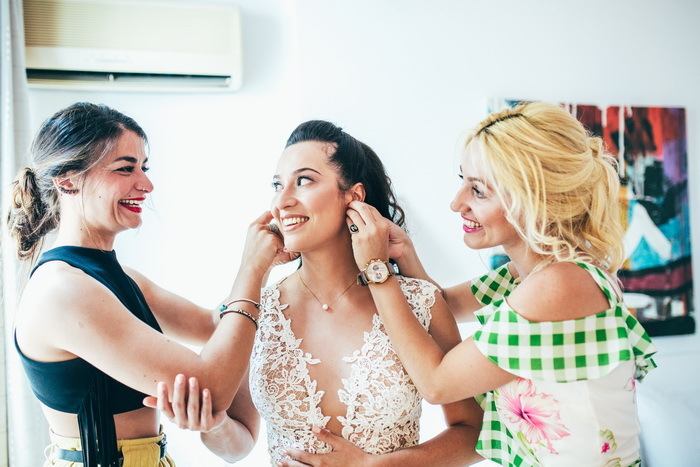 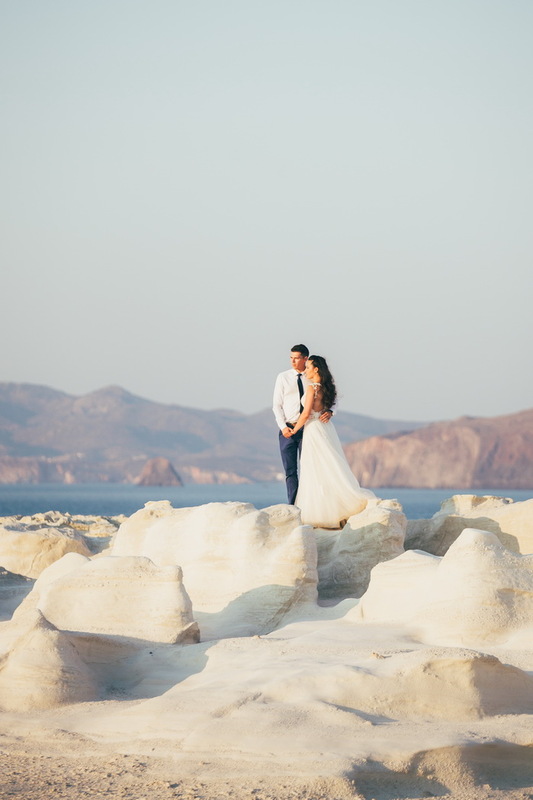 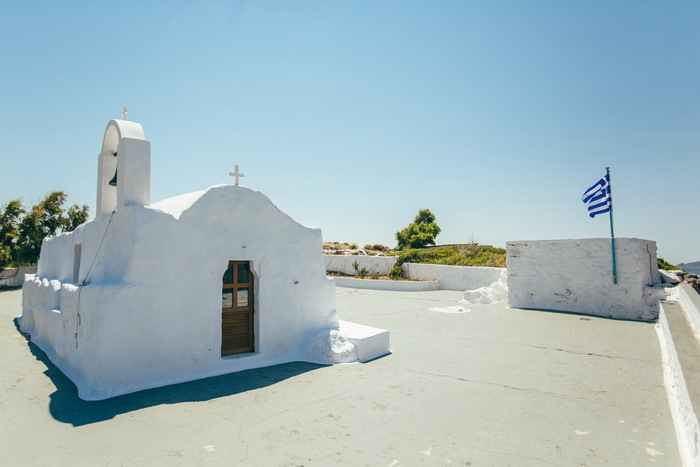 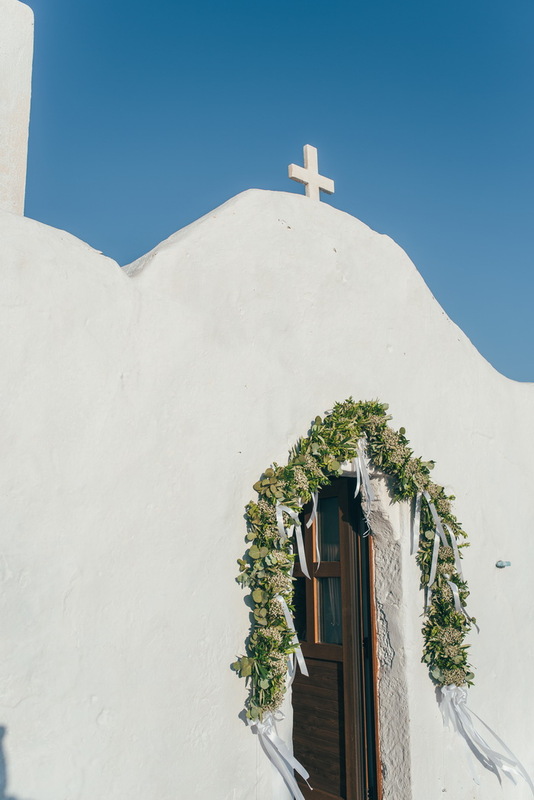 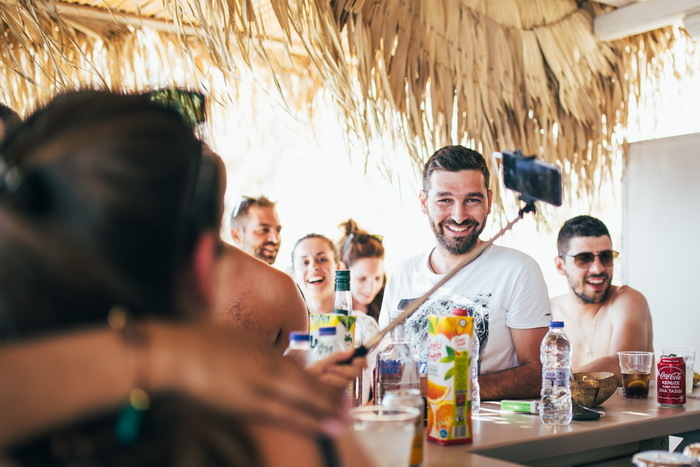 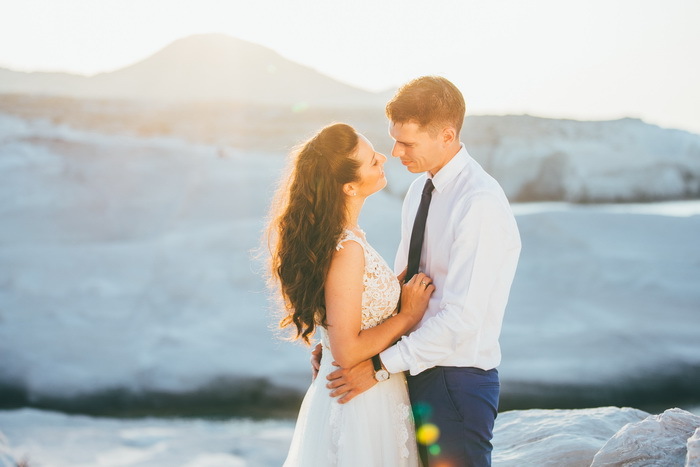 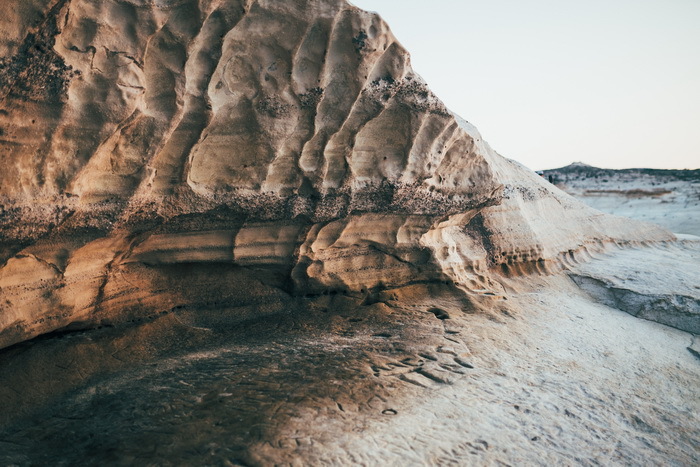 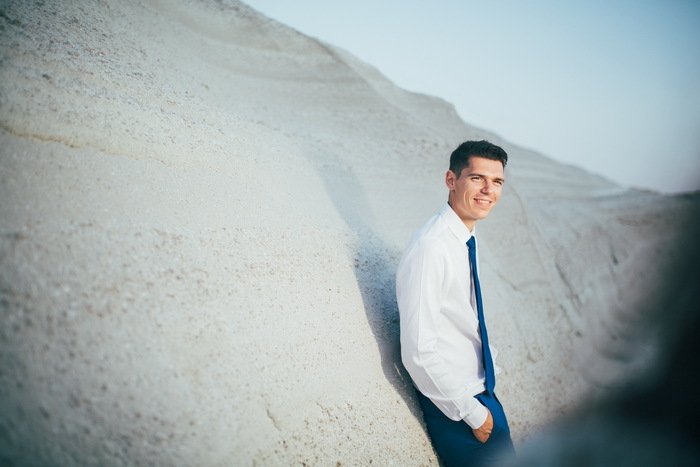 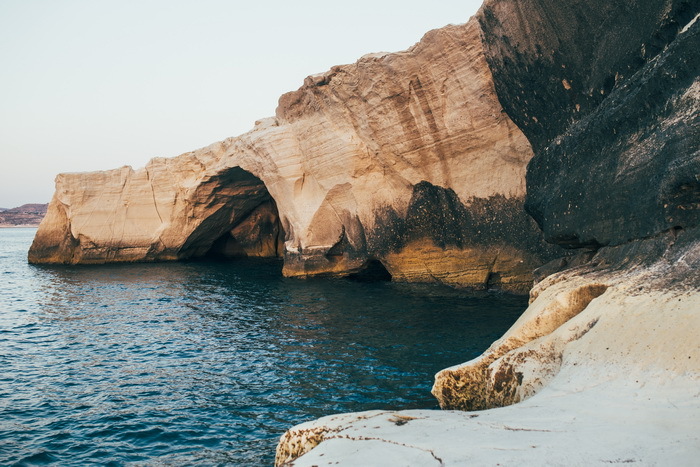 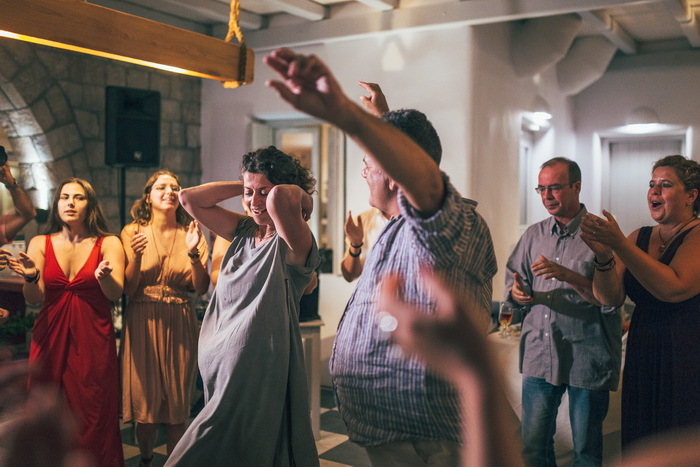 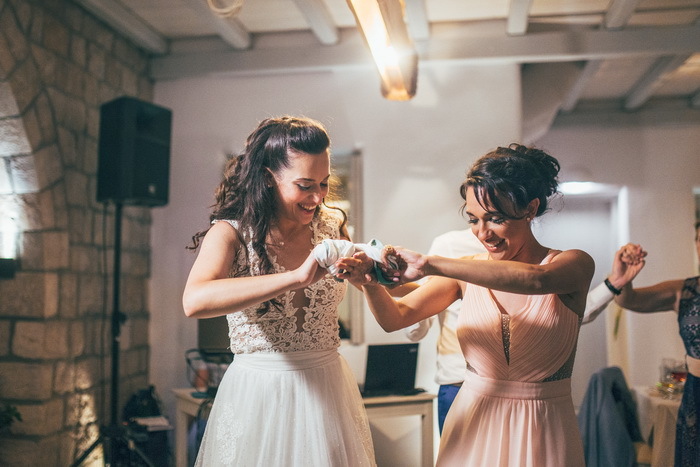 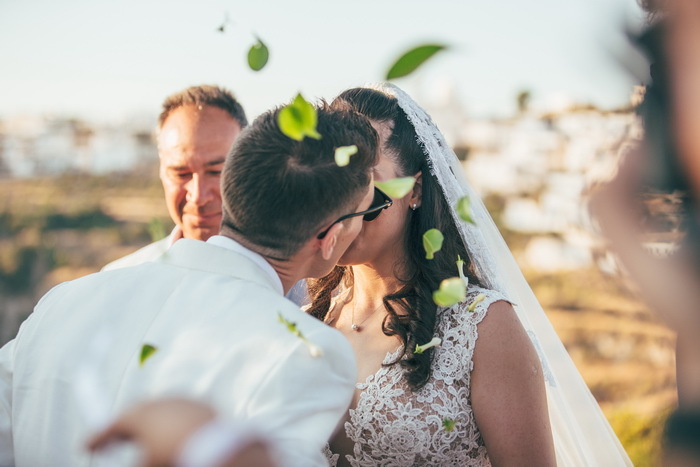 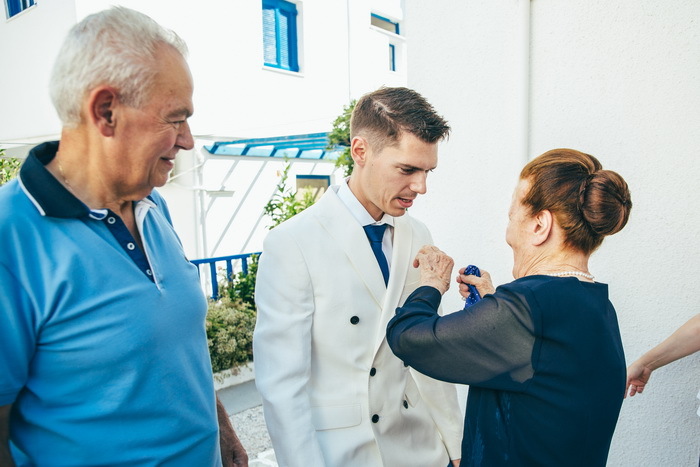 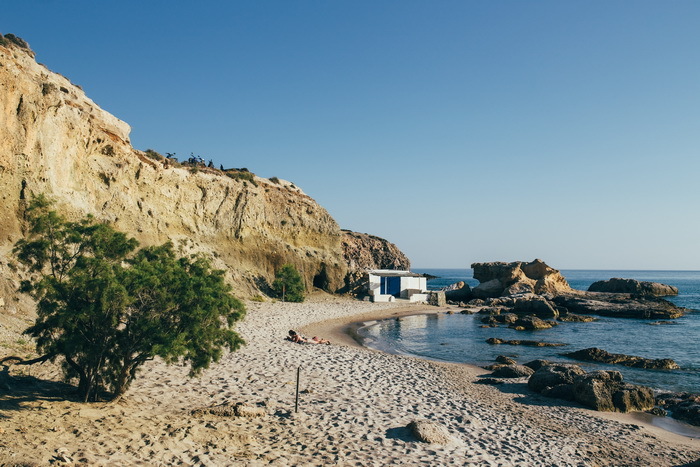 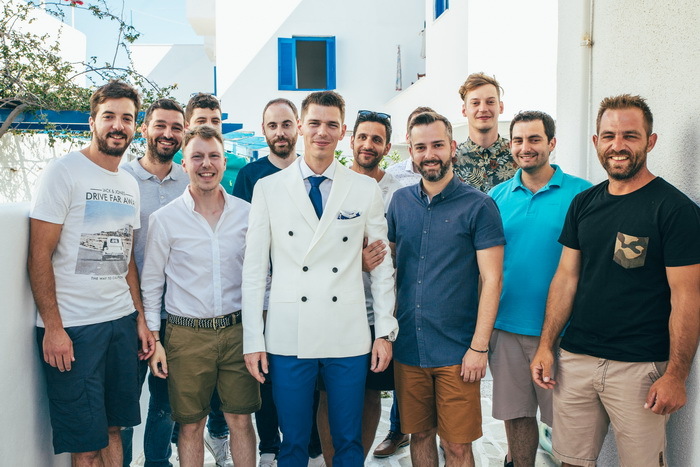 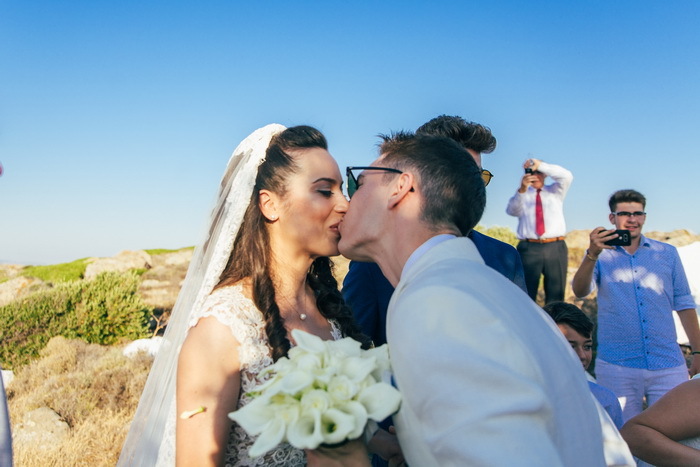 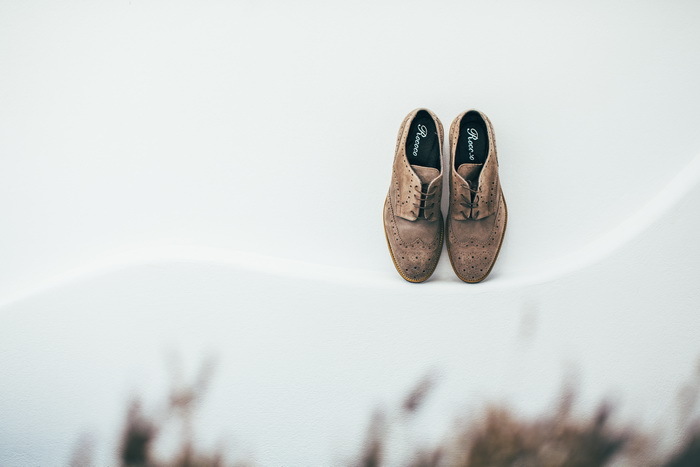 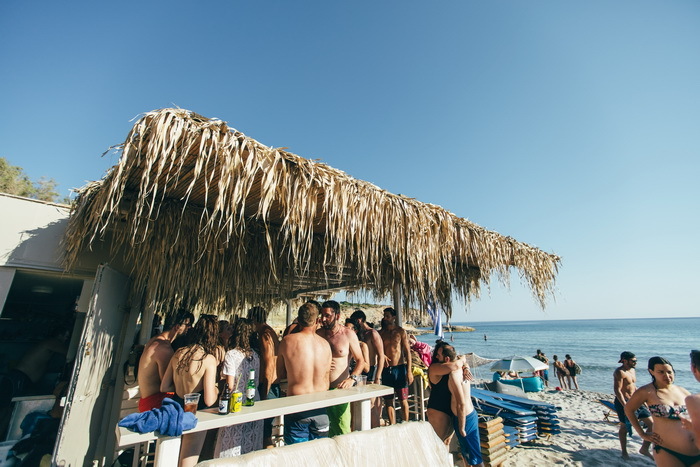 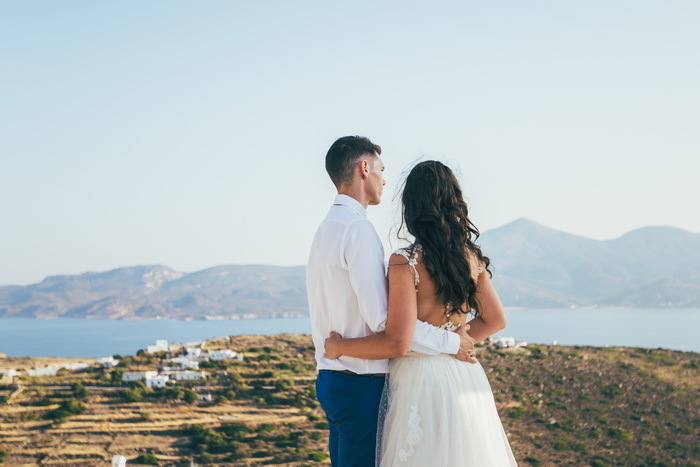 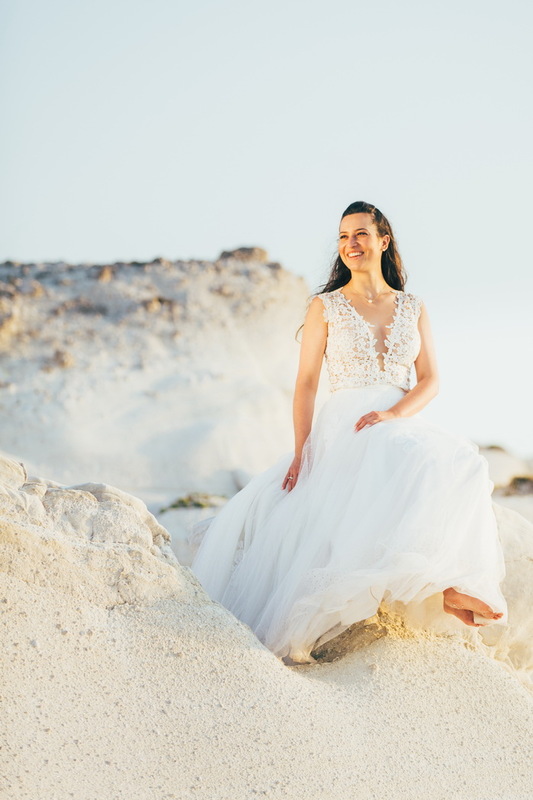 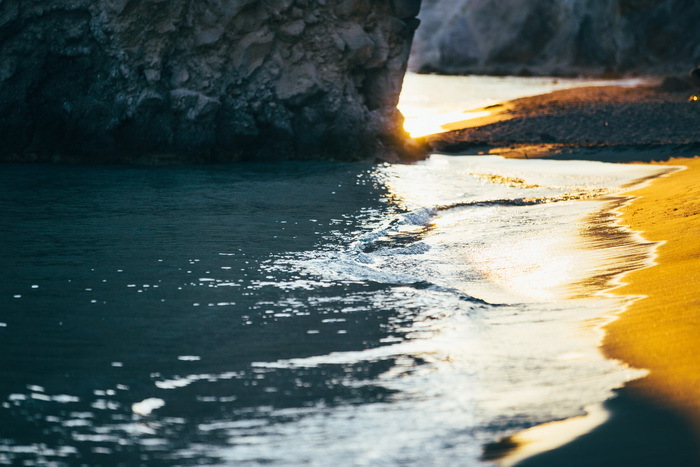 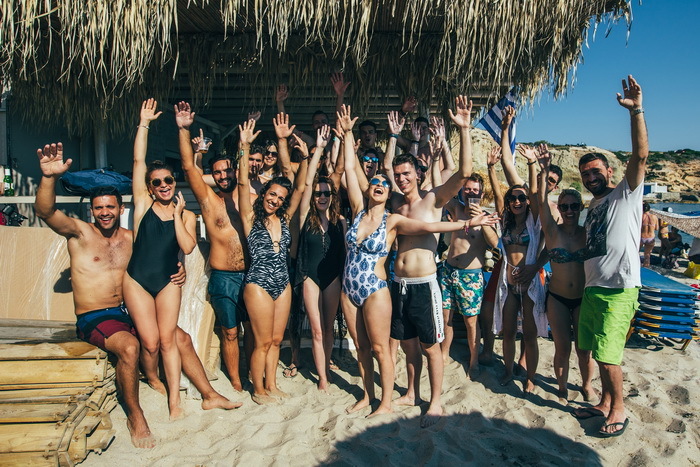 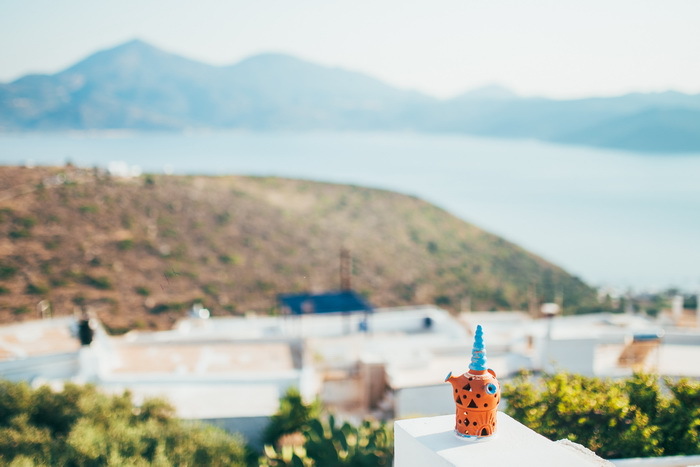 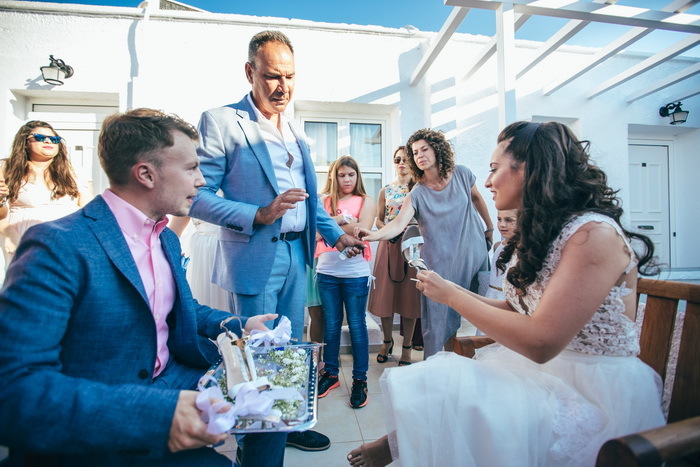 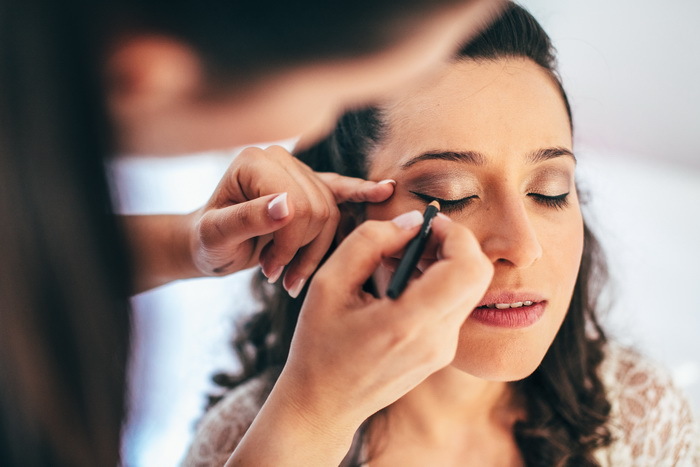 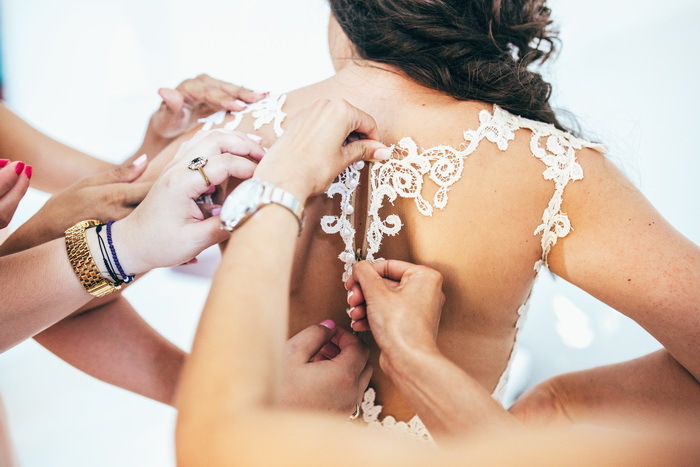 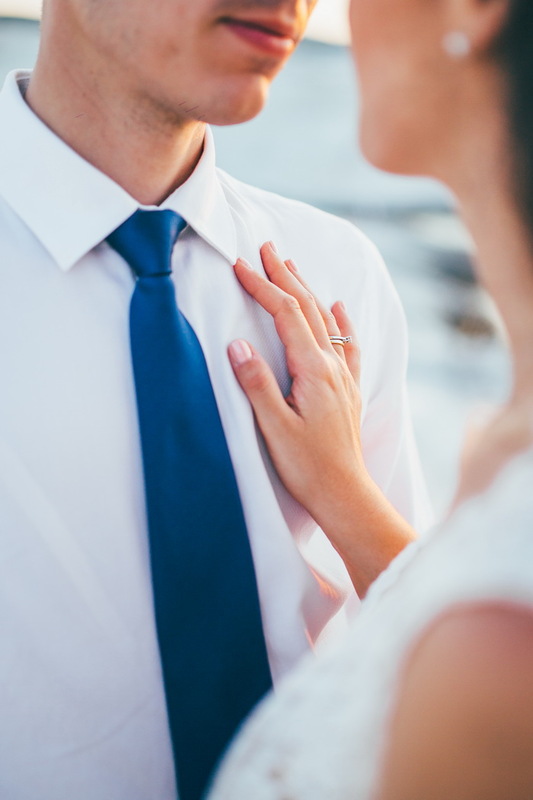 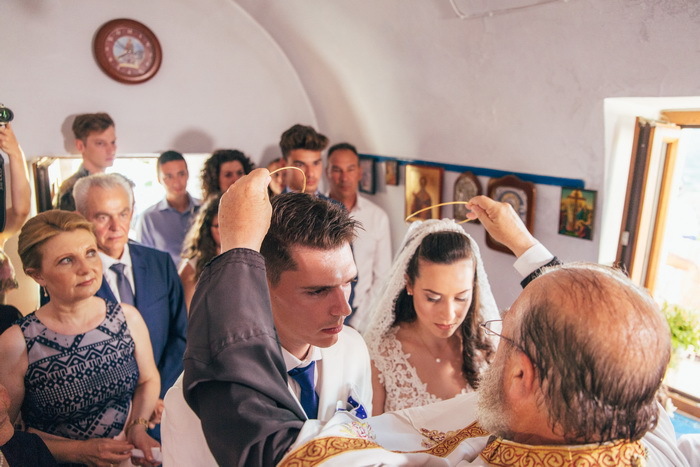 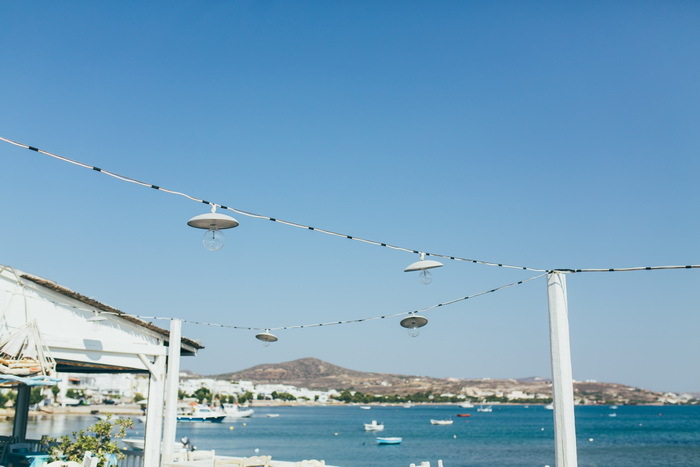 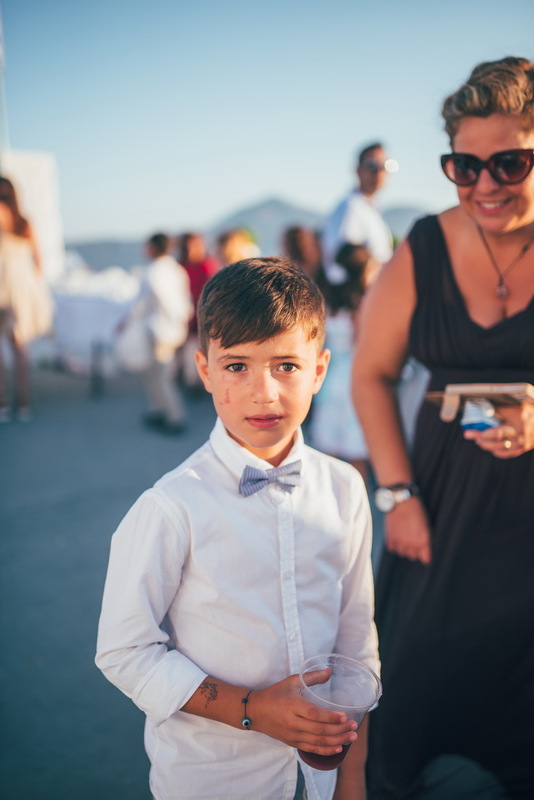 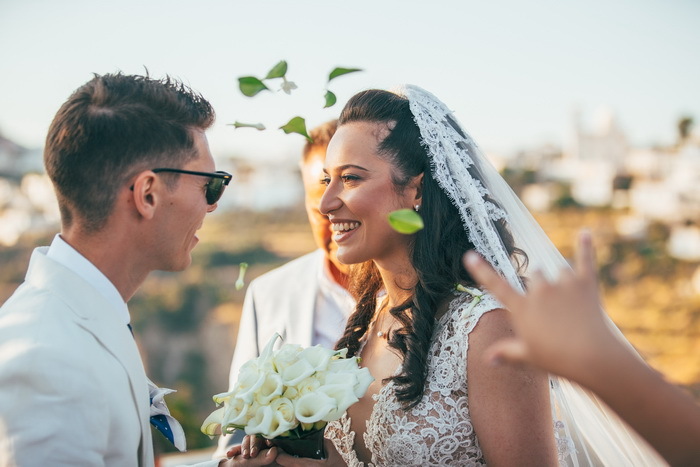 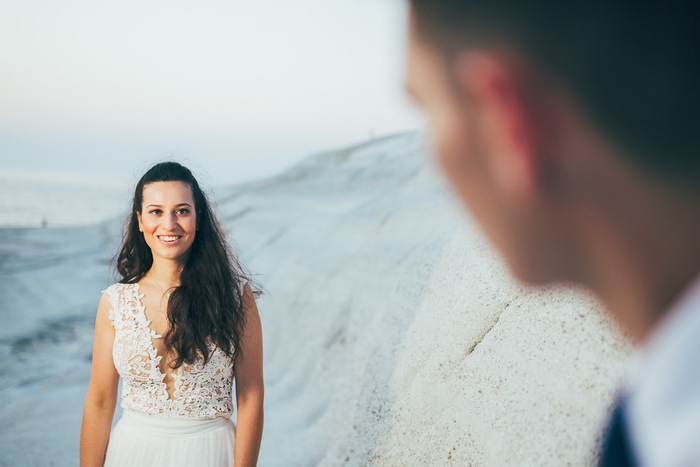 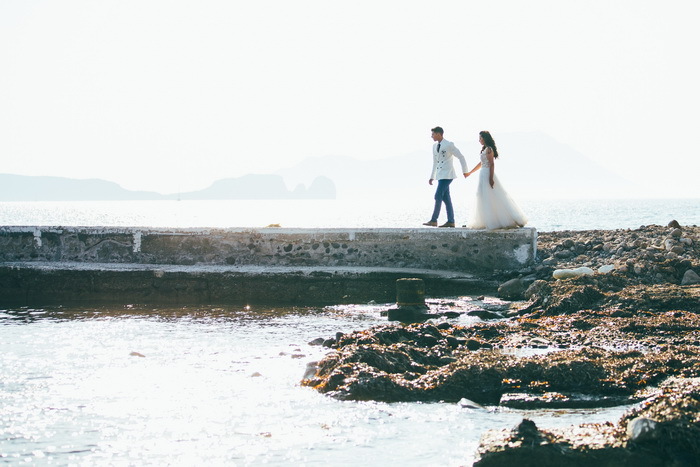 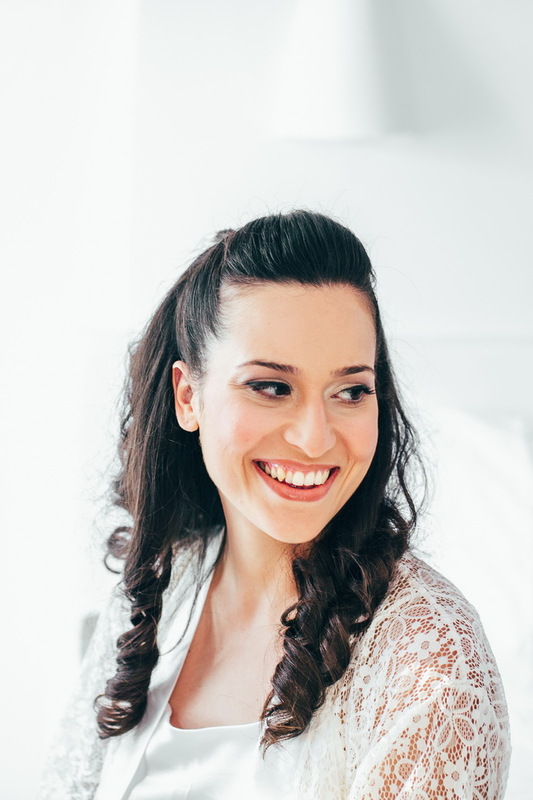 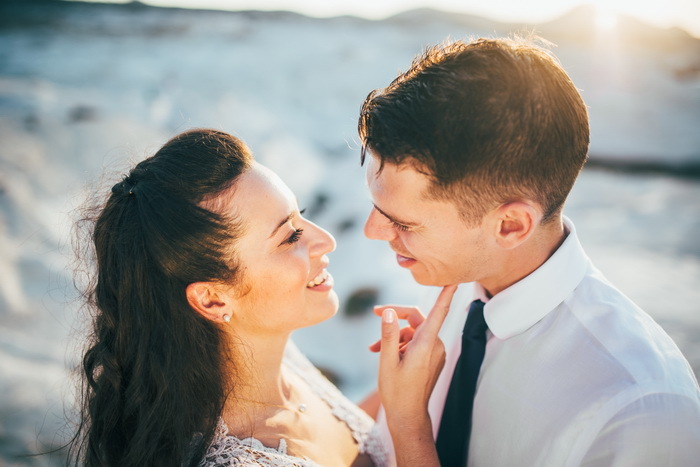 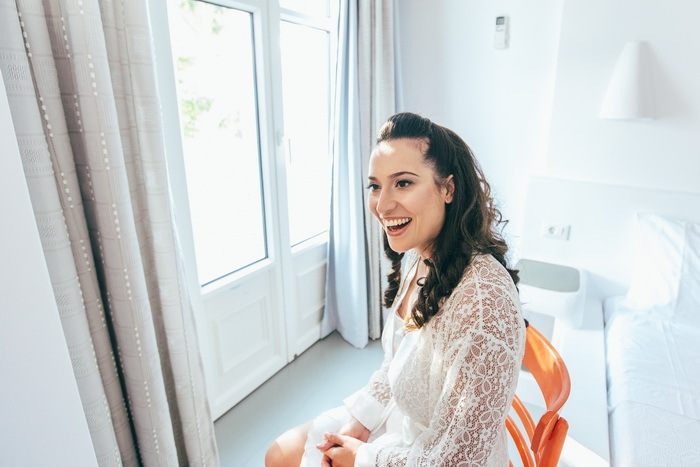 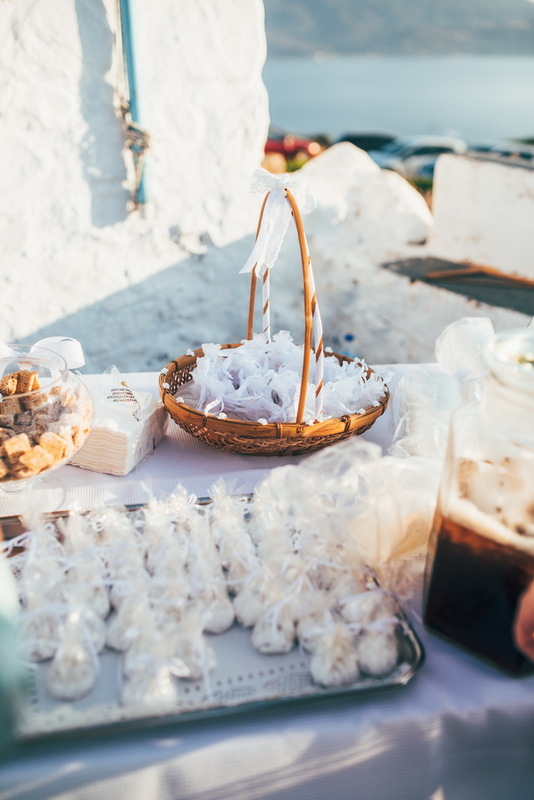 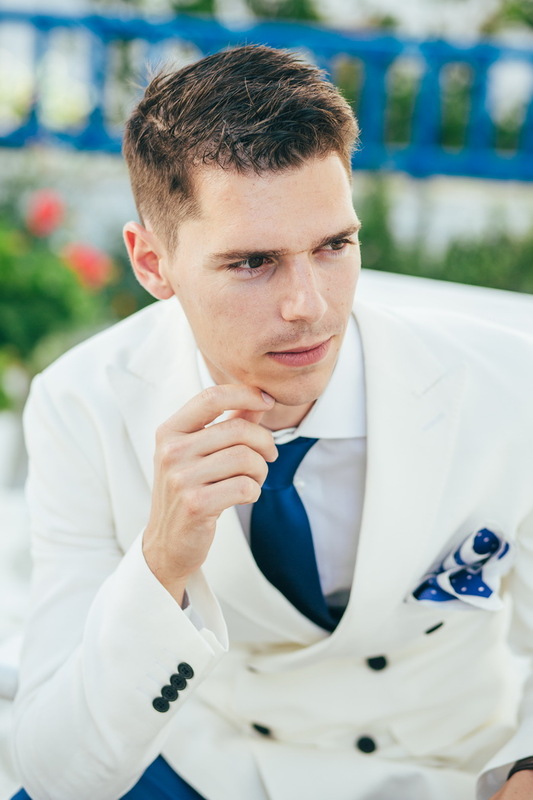 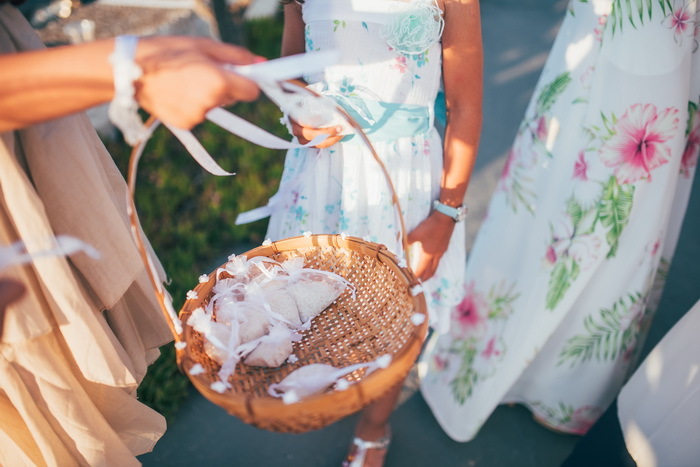 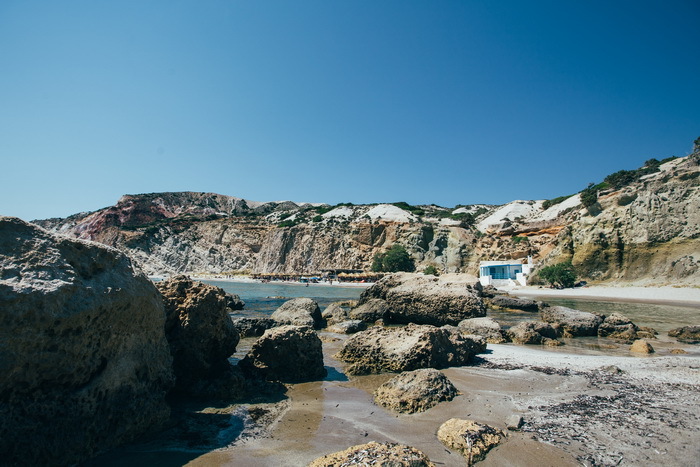 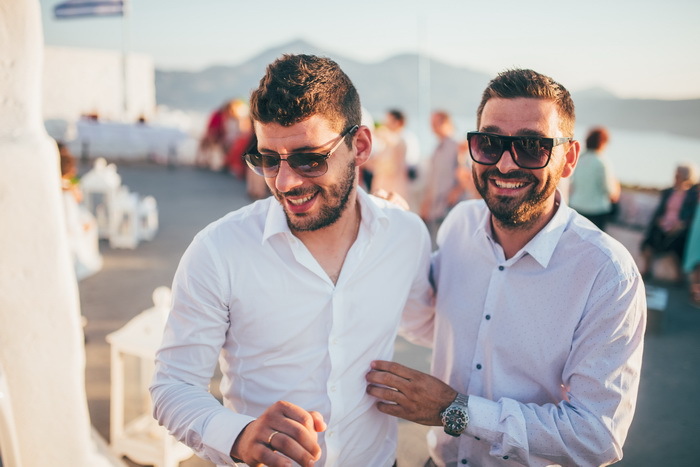 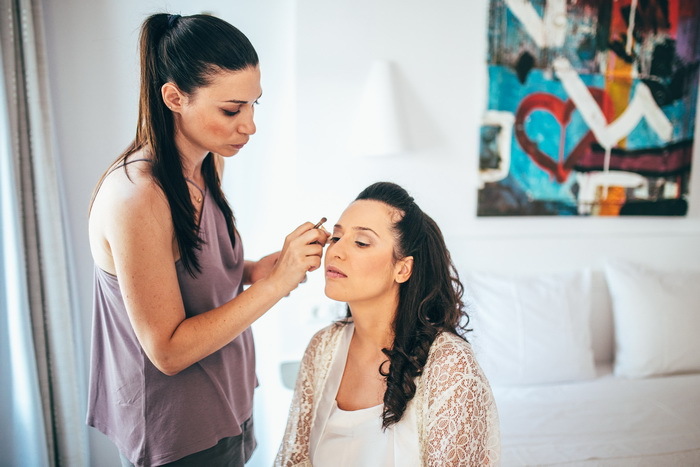 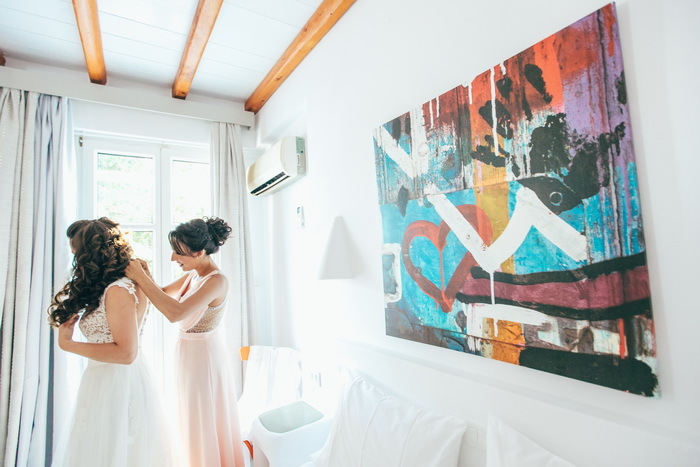 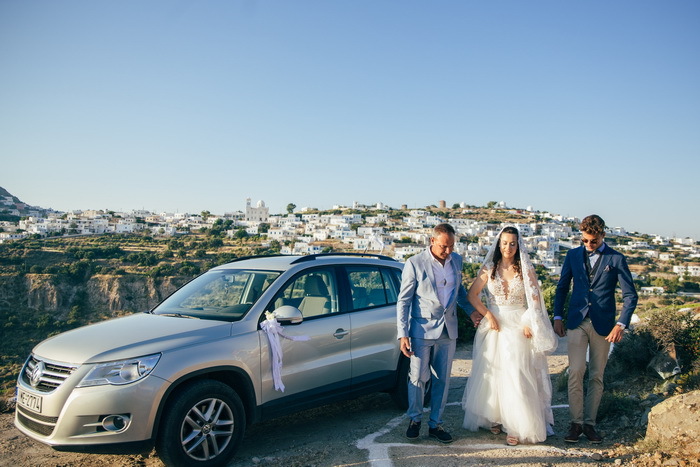 The wedding photo shooting was transferred from the small church to the beautiful beaches of Milos, where the couple and their family and friends shared some very special moments and they enjoyed the photo shooting. 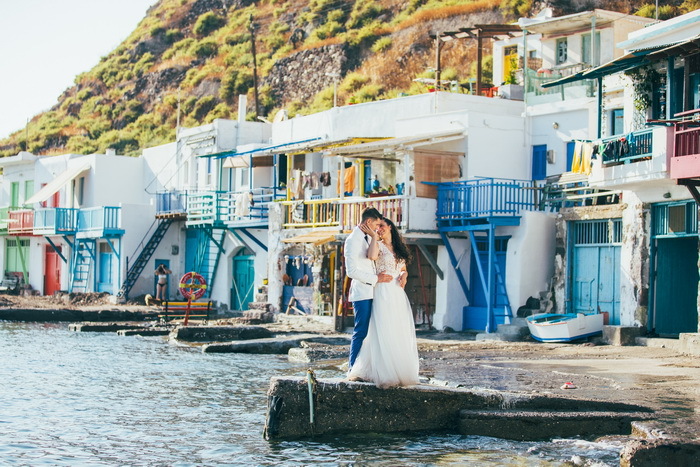 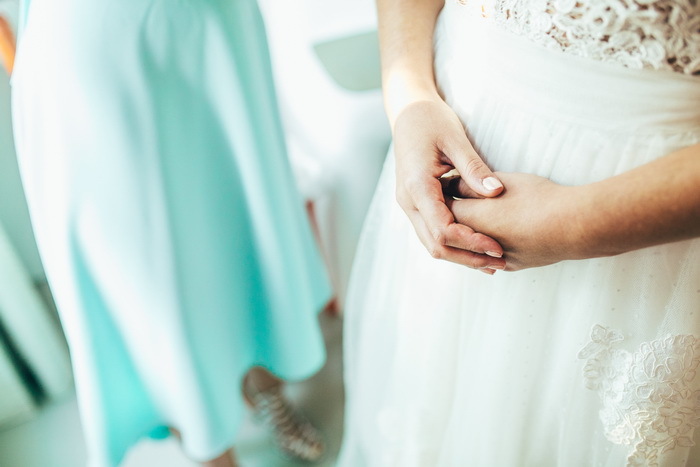 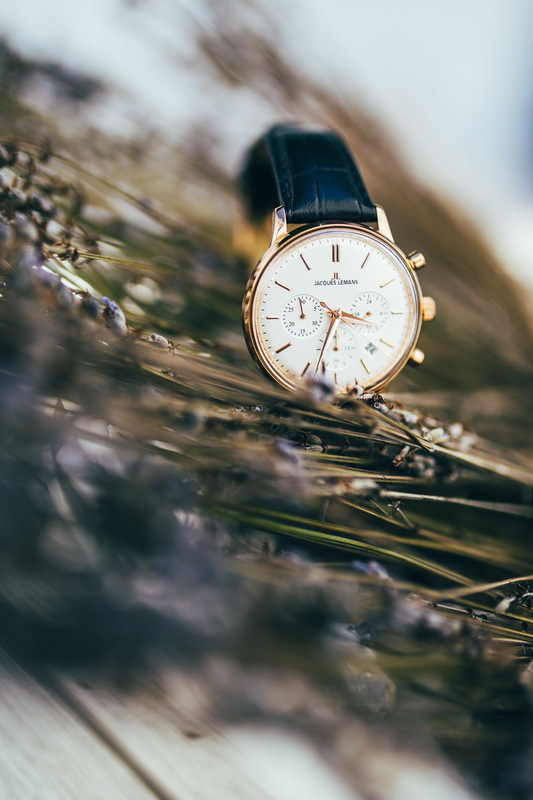 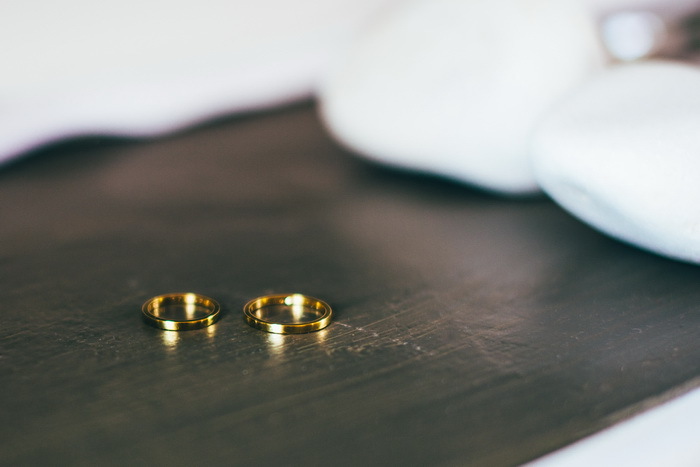 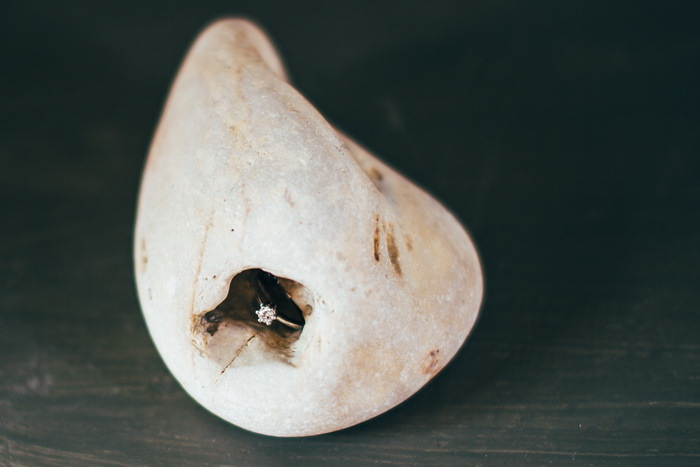 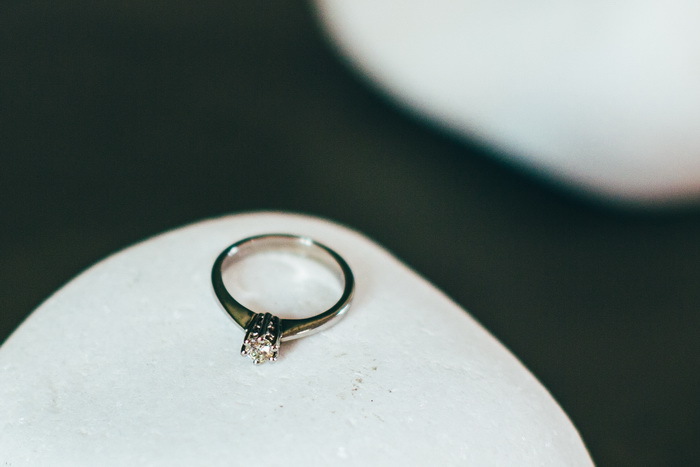 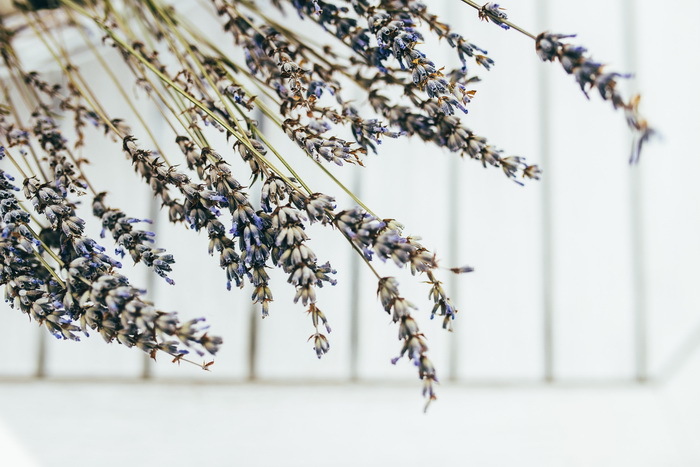 There is nothing better than following a loving couple to the place where they vowed to get married at and attempting to capture with the camera the most beautiful moments of their wedding.